When is a pond no longer a pond? We oft hear of hedgerows and field ponds being an intrinsic part of the rural landscape. Fishlake Parish in the Borough of Doncaster had many delightful such features. Howes (1997) catalogued the decline of these features and we now mourn the passing of another …. A pond such as this below in a quiet corner could assist alleviate the impact of flooding, it could be useful when biodiversity value of a land holding is assessed? Had this pond been checked for Great Crested Newts? Had the local planning authority, that is to say Doncaster MBC, been asked about the presence of any protected species within the vicinity via their Local Records Centre? Had the Environment Agency been contacted? Crucially, had permission been sought for the use of barrier bank soil to infill it? If so who was involved in any ‘discussion’? Had Danvm Drainage Commissioners as the Public Body responsible for drainage matters in the area been involved? What risk assessment had been undertaken which determined that there was no need for this bank in terms of flood management? It seems wholly reasonable that given the low lying nature of the area that features were installed or created for a reason and if that was now redundant then it would receive approval from the appropriate authority for an alternative use? Who was and who is now that appropriate authority or agency? Does the landowner involved receive stewardship payments for the feature (ie the pond)? 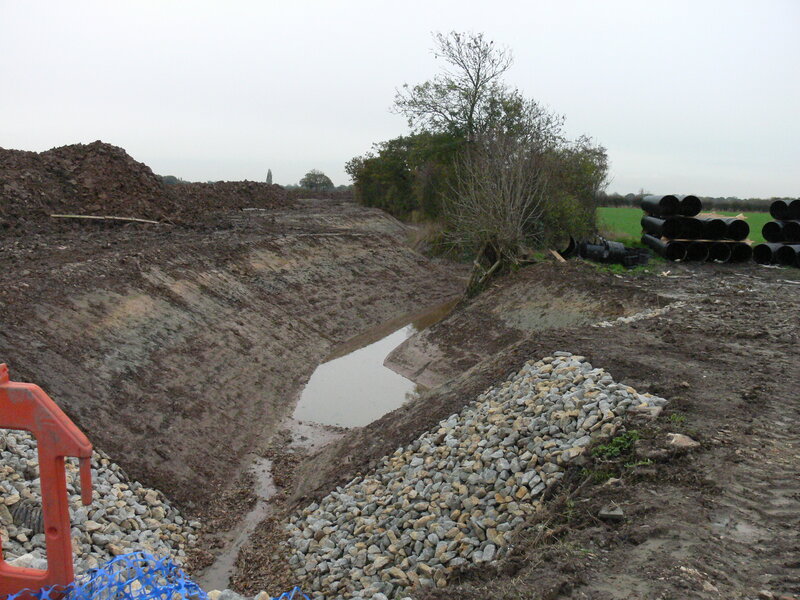 The function of the IDBs is land drainage and their powers are through the Land Drainage Act 1991 (as amended), it is the Environment Agency who is responsible for flood prevention/alleviation/mitigation etc. In the words of Gerald Manley Hopkins “Oh let there be left wildness and wet; long live the weeds and the wilderness yet”? What will be left of a once pastoral landscape for the next generation, some would say it’s progress and for landowners to do as they wish with their own property? As oft the case, much is underpinned with public funds. IDBs receive significant sums via a levy collected through the local authority and there is reported to be an expectation of public benefit for those funds. IDBs have Biodiversity Action Plans for their catchments, but these are often little more than words and tangible outputs from the expenditure is as scarce as field ponds? The DDC website offers an array of BAPs, the relevant BAP Pond and Great Crested Newt Action Report (2014) simply details a survey of a couple of sites, not a catchment survey, and no actions so one might be forgiven for pondering the claim of BAP ‘implementation’? Implementation would generally mean tangible activity post assessment? Do the local IDBs have any biodiversity inventory relating to the areas managed by them, it would seem reasonable given that the management service provision would at least hold a baseline inventory of protected species as a minimum with periodic updates? Parallels could be drawn where nature conservation organisations (both charitable and statutory) do hold relevant data material to their management function of land and water courses? How else can they deliver appropriate management without an asset register of key biodiversity interest? Low lying land in flood plains are a resource to alleviate the impact of increasing rainfall events? Posted in Executive Secretary | Comments Off on When is a pond no longer a pond? Why is it every decade there seems to be a revisit of the need to emphasise that peat is not an essential component of the gardeners tool / growing shed of resources? This time The Guardian offers the confessions of past peat user Robbie Backhall-Miles who explains “Why I changed my mind about peat”. It’s worth a read, B-M says there’s no excuses for continued use of peat by gardeners and even infers horticulturalists as well? We’d agree but we’d also recognise that the big growing media companies still promote peat above alternatives and pedal the usual argument of the need for consistency and reliability in performance for the horticultural trade. I would dearly like to buy some of the plants offered in nurseries but I will not if I discover they are grown in peat. That’s peat in every sense be it SSSI peat or from a non SSSI site. Moody but magnificent so for peat’s sake leave it alone …. The battle for the bogs here in the Humberhead has been over some five decades or so and whilst the corporate carnage has in the main ceased there is still the issue of hydrological integrity and drainage. Then there’s pressure on sensitive species from encouraged access. What should be the priority? The habitat, the species or people? Is there potential conflict or can a balance be achieved? For sure, as a species we are wasteful and generate veritable mountains of rubbish which we have to dispose of. Much of it is green waste, be it municipal landscaping off-cuts or our grass cuttings. If this is composted then it can be used to improve soils. If it is commercially composted and processed through a rigorous routine then it can be used to grow plants. One such excellent product was Terra Eco’s peat free compost. This used straw, an agri-industry by product and Thames Water treated waste*. Morally when you see the damage out there on damaged or destroyed peat bogs and then factor in the loss of carbon sequestration opportunity ask yourself …. do you really need peat as a growing medium? But, like so many issues we leave it to market forces supported by massive advertising campaigns to ‘sell’ us the need. Posted in Executive Secretary | Comments Off on Converted, for peat’s sake? Adders, Tick alert & 100k? The hirundines are with us, Sand Martin, Swallow and House Martin. So too the early warblers with Chiffchaff vociferously proclaiming territories. Wheatears, another delightful passerine have been recorded on both Moors heralding the new season – how long before that other high flying master of aerial manoeuvre the Swift arrives with us and then our speciality, the crepuscular nightjar? The adder, the enigmatic and much mis-understood reptile appears to be holding its own across the Moors but with the implementation of the Water Level Management Plan on Thorne Moors by Doncaster East IDB through it contractors JBA Consulting and the LIFE+ Project being rolled out by Natural England alongside Open Access, the question must surely arise about potential impact upon the necessary suite of habitats for the species? 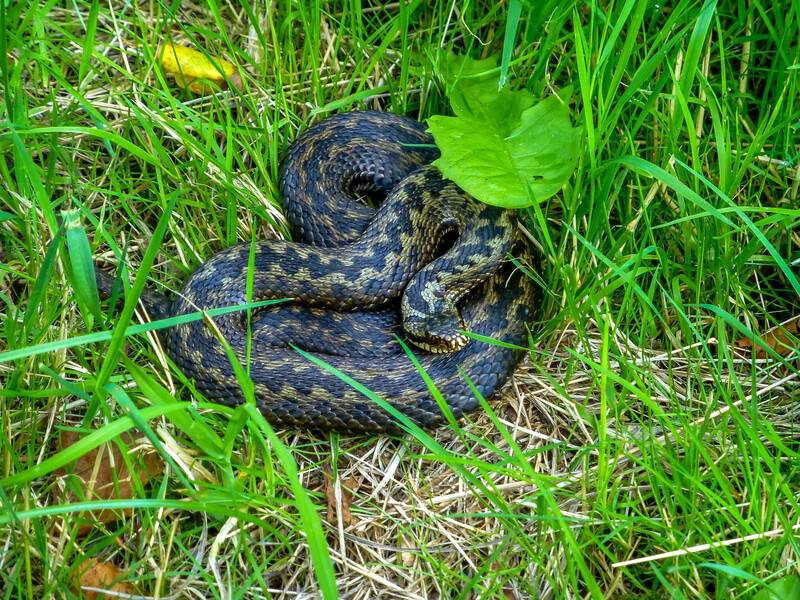 This stunning image of a female adder was taken from well back so not to disturb the animal from basking. Cameras of today are so powerful there is no need to cause disturbance or distress to sensitive species. Image courtesy of Martin Warne. Other early signs of spring have been Orange Underwing and that wonderful sulphur yellow of a male Brimstone butterfly. The image above, showing an Orange Underwing from Crowle Moors is unusual as it is a species more often seen flying around the top of birch trees and rarely ‘captured’ stationary as here. Image courtesy of Phil Lee. Orange Underwing is a woodland edge species flying high in bright sunshine. The species passes the winter as a pupa, and the adult moths emerge in early spring to lay their eggs in time for their caterpillars to feed on newly formed birch catkins. Three seen on Thorne Moors on 25 March constitute the earliest record for this species on the Moors, and possibly Yorkshire. Congratulations to Mark Avery whose relaunched epetition BAN DRIVEN GROUSE SHOOTING has galloped past the first 10k hurdle and is now racing towards the 100k! Posted in Executive Secretary | Comments Off on Adders, Tick alert & 100k? 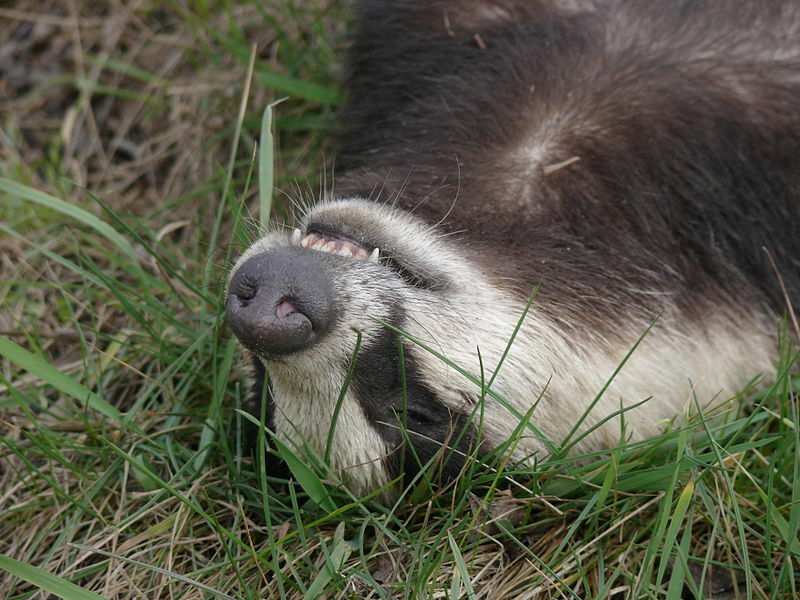 The BBC, badgers & tall stories? Well, first of all the NFU so no real surprise there, then Defra whose failure to secure robust science on the issue and similar blinkered approach and stance on the [In]action in the uplands to safeguard raptors and most noticably the Hen Harrier but now it’s the turn of the BBC? As license fee payers it would seem entirely reasonable to expect a balanced view of any topic aired? Where there is robust science then it might be expected that this be put forward as part of any discussion? The Ecologist’s headline Tall stories: BBC’s anti-science support for badger culling asks some awkward questions and these are then picked up by the Badger Trust who encourage members of the public to watch the first programme of the series Land of Hope and GloryLand of Hope and Glory to be broadcast this Friday (4 March) on BBC 2 at 9pm. Poor brock: a scapegoat for poor bio-security or a villan? The Badger Trust plan to write an open letter to the Director General of the BBC, Lord Hall, on Monday after the programme has been broadcast. They also invite their members, supporters and the public to join them in highlighting their concerns through social media, so if you share concerns then use the hashtag #bbcbias to deliver alternatives to the approach taken by the BBC. They will be sending out a list of tweets that can be used throughout the day. It is a shame, if the early indications of bias by the BBC are true, because such acts of demonstrable and one sided bias simply serve to indicate that the Corporation are out of touch and knowledgeable viewers then see the ‘brand’ as unreliable? If it favours a particular group with bovine TB then where else has it failed in its reporting or investigations? A topical ‘discussion’ at the moment given the recent revelations documented in Dame Janet’s investigation? Equally of concern is that it does nothing to help the farmers case when people in possession of an understanding of the complexities and the science but who also have a love of badgers and of Somerset Brie? What wins? So let’s all of us watch on Friday evening, Land of hope and glory? We can then decide for ourselves if the BBC offers balance or bias? We can then consider what next we might each do or not? Remember that Hope was a Hen Harrier and ‘Inglorious’ an excellent expose, and a balanced one, of the ‘Conflicts in the uplands’ brought about by the management regimes designed to create habitat for Red Grouse. This management bias is to the detriment of some other wildlife and water management, in terms of quality for drinking and flood alleviation. 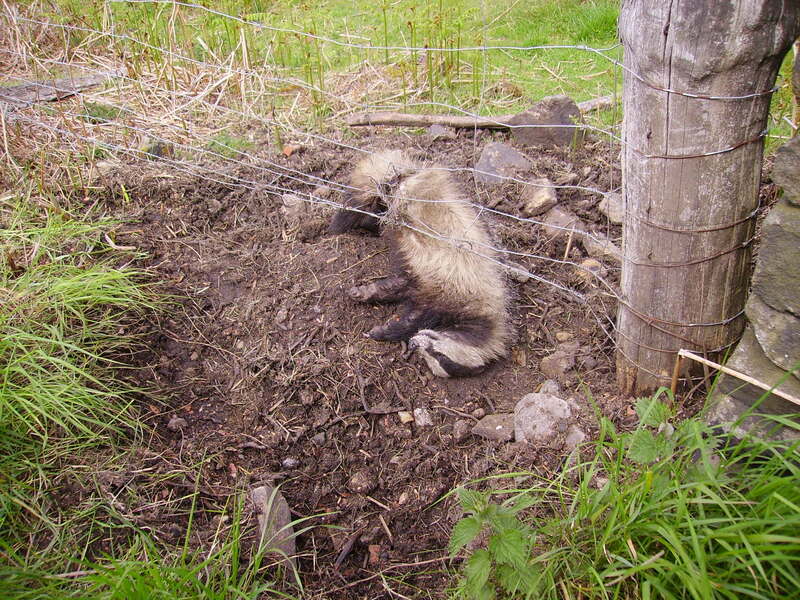 Posted in Executive Secretary | Comments Off on The BBC, badgers & tall stories? Tags: Badgerlands, e, Ian D Rotherham, Idle Valley Rural Learning Centre, Patrick Barkham, The Butterfly Isles, The Lost Fens: Englands greatest ecological disaster? Networks: data & experienced experts? 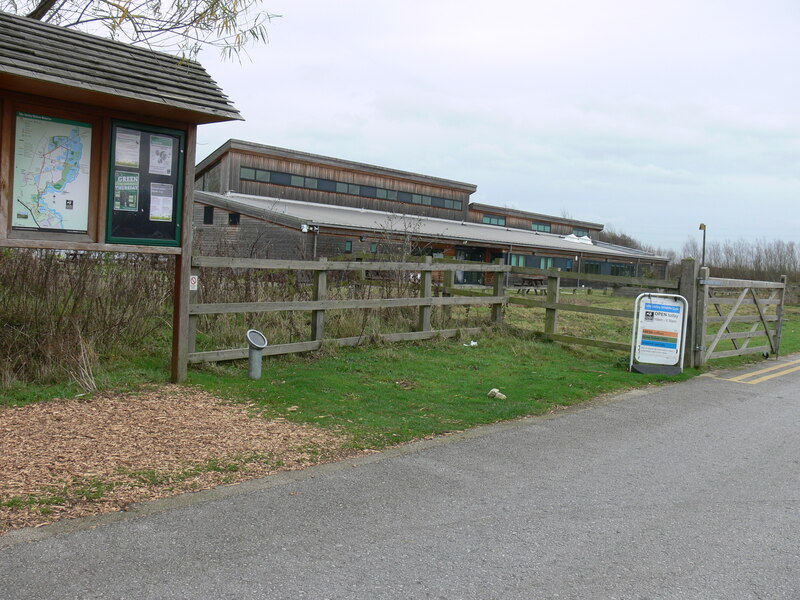 Treeton was the venue for the annual South Yorkshire Natural History Day, organised and delivered by the Sorby Natural History Society. It was, as usual, well attended with perhaps somewhere between seventy and eighty people. A mixed or should one say ‘diverse’ bunch, and I could for a change be considered to have been one of the ‘middle aged’ attendees. It was good to see and hear ‘youngsters’ taking up projects with enthusiasm. It was particularly refreshing to hear one such speaker express appreciation about the help and support received from experienced experts in the Sorby NHS. Would that more grant funded projects would adopt a similar philosophy. When the hardened amongst us, who remember black and white televisions and a time when there were two hundred and forty pennies in a pound, drift back to those days of wanderings, of discoveries and of the difficulties involved in putting a name to the more unusual finds without the benefit of t’internet or digital images and emails one might be forgiven for wondering how it was the necessary field skills were acquired? Break time at South Yorkshire Natural History day, organised and facilitated by Sorby NHS in Treeton. But, when youngsters seek out help then it is generally offered. Sadly there are a few who seem to consider that it is a right, after all they paid their university fees …. The Forum have been lucky, we have links with a number of academic institutions and are keen to encourage students to make links and are happy to help where we can. Last year three such individuals benefited from our help and support. This coming year another two have linked up with us and one is ongoing from 2015. All these links, all this networking ought to build a cohesive network able to defend habitats and sites under threat? All the recording going on should deliver robust evidence to safeguard sites from inappropriate development? We pose the question, posed by many others as well, where does an aspiring amateur naturalist pass on their observations and records? Melissa Harrison asked BBC Wildlife magazine readers in the January edition a similar question, she also raised the issue of charities and organisations competing for data, our money etc. Back to the destination of data issue …. which presupposes (a) they want to and that (b) they are accurate identifications. Assuming that the second part is accommodated through making contact with local, regional or national experts in the case of difficult species and validation or determination achieved then what should the new amateur naturalist do next? 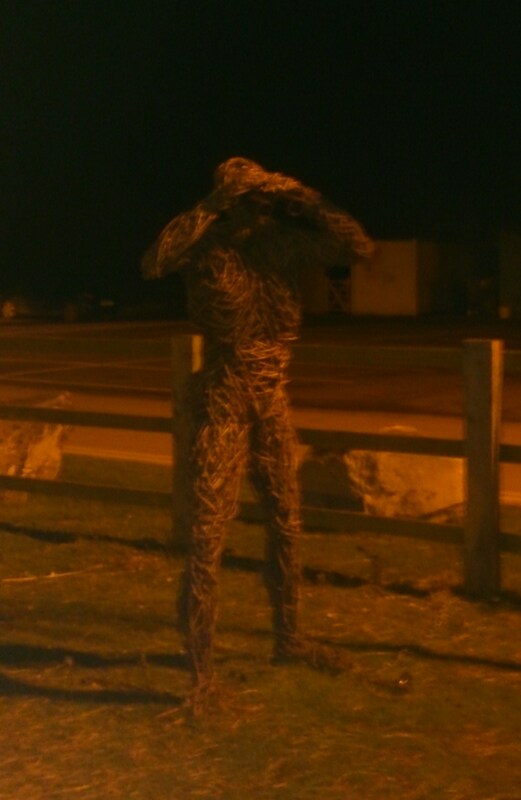 Chances are if they live in a town then there may well be a local group or natural history society. There might be a regional or national one, but do you record by groups or by geographical area? There are local records centres (LRCs) keen to take your data, it is after all worth money because they are obliged if run by the Local Authority to provide data searches to commercial enquirers. Conversely there appears to be little data provided to LRCs by commercial consultants who like to promote themselves as ‘professionals’. There are national recording schemes for many groups (dragonflies, moths, water beetles, spiders and many others). There are schemes designed to feed into such as the National Biodiversity Network (NBN) which used cautiously can be a useful guide, there are citizen science schemes but all these rely on the amateur naturalists and perhaps a few ‘professionals’ to confirm identification or to actually determine the finds (often submitted as photographs). There are many keen to act as ‘managers’ but too few keen to support that indefatigable army of amateur naturalists who actually deliver the raw data for the ‘professional’ managers to interpret. At one time of day the government through various defra agencies collected data on a range of species and habitats. The February issue of British Wildlife magazine has a though provoking paper “The increasing importance of monitoring wildlife responses to habitat management” (Fuller et. al.). A case could certainly be presented for some of that here in the Humberhead Levels? 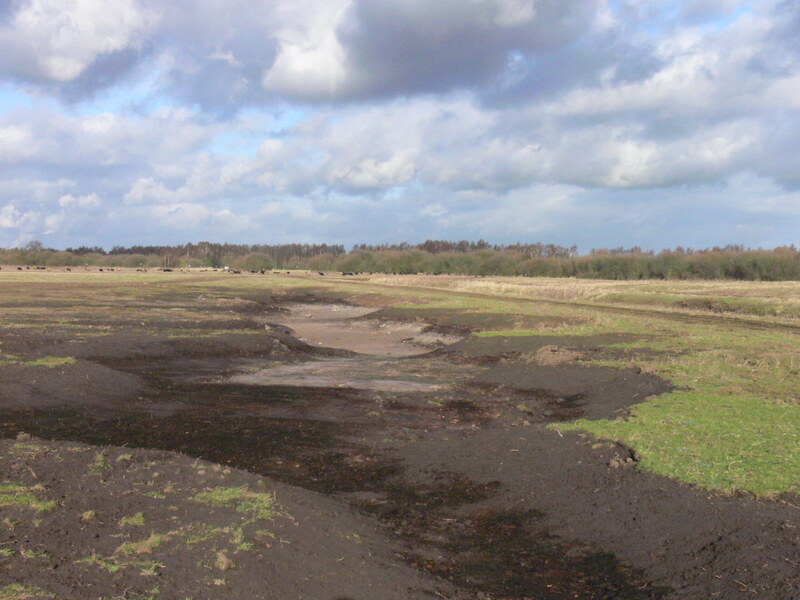 Doncaster East IDB, are through their management service provision (JBA Consulting) implementing a £2.9m Water Level Management Plan on Thorne Moors. Mid term through that, Natural England secured £2.3m to deliver a EU LIFE+ Project involving management works, engineering, community engagement and …. science and monitoring, one of the salaried posts was a monitoring officer, so there’s hope that substantive science will be delivered and monitoring put in place post projects to assess impact and changes on key habitats and species? Posted in Executive Secretary | Comments Off on Networks: data & experienced experts? Fracking free for all creeps nearer? A letter obtained by Friends of the Earth, dated 7 July 2015 and signed by Liz Truss, Amber Rudd and Greg Clark to George Osborne indicates that they sought to ensure that wildlife protection did not interfere with fracking projects. The letter also revealed that ministers are considering designating shale gas wells as “nationally significant infrastructure projects”, which would take planning decisions out of the hands of local authorities, to be made by officials at the Infrastructure Planning Commission instead. So, this from a government who had promised local communities involvement in planning decisions which would directly affect them. The same government also promised ‘world class environmental protection’, but that’s as realistic an aspiration as the ‘greenest government ever’? It does appear that the three ministers admit that introducing such a change is likely to undermine public support for fracking. If fracking is so safe and ministers have confidence in the reported safeguards then they should have no problem in personally underwriting any issues proven to result from any aspect of the industrialised process? Readers might recall that we have listed links and associations of ministers and the fracking companies and their financiers. 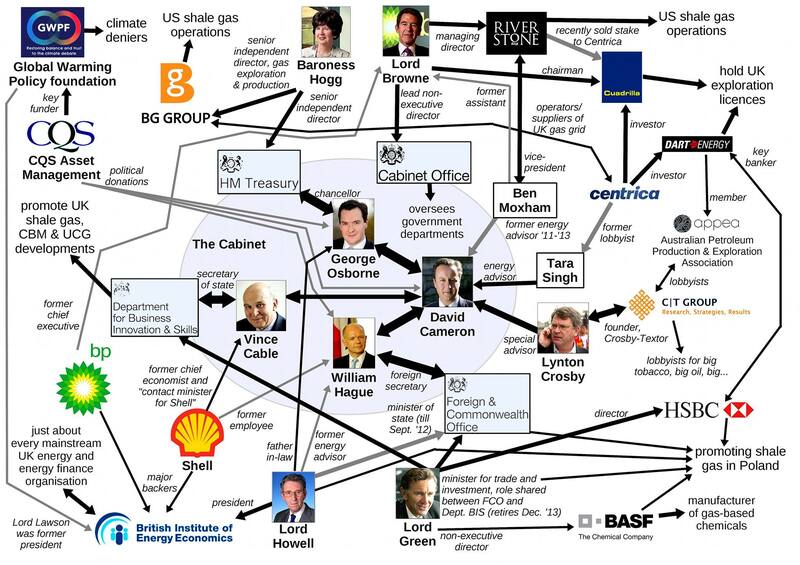 In April 2015, Spinwatch’s Melissa Jones and Andy Rowell wrote “Access all areas: Westminster’s (vast) fracking lobby exposed” might cause one to question who government actually work for? If Lancashire is distant, the remember the application planned for ‘us’ in the Humberhead Levels …. more details available via Frack Free Nottinghamshire and there is also information on the Frack Off site for Springs Road. There are also plans for Pocklington, Market Weighton and the Yorkshire Wolds …. Posted in Executive Secretary | Comments Off on Fracking free for all creeps nearer? WCU funding under threat again? It doesn’t seem that long since we reported that the National Wildlife Crime Unit’s funding was under review and that it was at risk. Well, here we are again with much the same issues. Ministers have failed to confirm it will be funded after March this year. It’s not a great amount of money, considerably less than the annual alcohol subsidy in the Houses of Parliament. Public funds for public benefit? Wildlife crime might not be the top of the ‘green c**p cutting’ politicians agenda but there are links with animal cruelty and unregulated illegal gambling. Significant sums are wagered on the outcomes of badger baiting with dogs and with hare coursing, and it is the profits which fund the trade and practice of digging. The role of NWCU is more than just about wildlife crime, recent conversations with a local Wildlife Crime Officer (WCO) revealed the astonishing links with other crimes, with wildlife related aspects simply a piece of a much larger jig-saw. Criminals will deal in whatever they can that will make them easy money, be it poaching, baiting, illegal raptor persecution or trespass to undertake any of the activities mentioned. Poachers might partake of celebratory drink after a successful ‘action’ in a local hostelry and mention of unprotected vehicles and machinery in isolated barns might see the next job is being lined up? We must all be vigilant and work collaboratively for the benefit of the community and nature conservation. Perhaps we might also consider that the New Year’s Resolution of a monthly letter to a Minister, MP or other worthy recipient might be one which asks that the NWCU funding is assured for the remainder of the current political term, that is to say, 2020? If you want to help IFAW in the matter then sign up to their action to Rory Stewart MP Parliamentary Under Secretary Environment & Rural Affairs, asking for continued funding for NWCU. Remember though, lots of separate letters carry more weight than a campaign, that’s not to say you couldn’t do both? If you see wildlife crime, then report it. Call 101 to speak to a local Wildlife Crime Officer. Government Advice Published in 2010, updated 2014 so a little out of date. Posted in Executive Secretary | Comments Off on WCU funding under threat again? There was no fallen timber, no blockages preventing water flow but where Internal Drainage Board (IDB) machinery and maintenance are involved woe betide anything getting in their way? There appeared to be no indication that pruning or removal of trees was required, no paint or tape were located to suggest that inspection had identified flow restriction or other maintenance requirement. Internal Drainage Boards exist by virtue of the Land Drainage Act 1991 (as amended), they exist principally to undertake drainage of land, generally this is agricultural land but they also receive revenue from other property which may be in their catchment(s). In some areas Local Authorities collect these levies on their behalf and these are paid from revenue collected from council tax payers. It is the EA who are responsible for flood defence and alleviation, with IDBs encouraged to co-operate in such matters. Both the EA and IDBs are Public Bodies and as such, ‘reputedly’ accountable. IDBs are required to take account of and indeed to promote biodiversity benefit …. See the WLMA website and their guidance note where it clearly acknowledges that IDBs derive their powers from the Land Drainage Act 1991 (as amended by 1994 Act). Section 12 of this Act states that in discharging its functions with relation to Land Drainage, the Boards must ‘further the conservation and enhancement of natural beauty and the conservation of flora, fauna and geological or physiographical features of special interest’. Vandalism or maintenance perhaps, but biodiversity benefit? On a positive note, this incidence is not on the scale of that in 2012, reported in 2013 via Standing up for nature? But, is it another example of IDB governance practice and procedure or another ‘runaway digger driver’? Posted in Executive Secretary | Comments Off on Vandalism or maintenance? Last year we had a national campaign to find our national bird, now it’s the turn of the fish. So if you wish to see haddock or cod on the menu then get your vote registered. Perhaps you prefer freshwater species, trout or salmon – then again is salmon fresh of sea? The same might be said of the European Eel perhaps? What criteria would we each see as important in the selection? Perhaps the public might opt for a high profile food species? Naturalists might go for a species which represents the need to ensure that particular habitats are cared for and protected? Anglers might prefer one that represents a challenge in the pursuit of? Certainly all fish need a healthy environment in which to breed and play their part in the natural ecosystem. That we exploit particular species as food should not really influence a decision but given the popularity of the christmas card robin, the chances are that the national fish will be linked to Solanum tuberosum served with a generous quantities of acetic acid and sodium chloride? For more detail and additional information then take a look at Beneath the waterline website and the press release via Fisheye’s View. UK National Fish is a Survey Monkey website and asks you seven questions, some of which require more in depth knowledge but should not stop you from voting for your favourite species. We appreciate that people might think there’s something ‘fishy’ about our promoting this request, but fish need a healthy environment in which to live and water, be it fresh or sea is an important habitat as well as a natural resource which needs conserving in all our interests. If wetlands are healthy and seas are clean then there is hope for our own species? 26th March – May (exact date TBC): from the top ten the national fish will be decided. A recent article Government planning thousands of new homes in flood plains in The Ecologist assessed a ‘plan’ that seeks to build some 9000 new homes in floodplains …. But the government are to fast track developments in flood zones. Read the full article to learn how Greenpeace established the areas and the level of risk. Readers may recall that we asked that you consider responding to the government consultation on proposed changes to the FoI legislation. Had not Greenpeace been able to obtain important information, funded through the public purse in the first instance, then use this to establish risk then people unaware of an areas ‘potential’ would be left with a mess to sort out? This is a prime example of why it is crucial that the FoI legislation is strengthened not weakened? Let’s hope that the issue of floods and land use remain high on the medias agenda and that of conservation because it is evident that much public money will be spent, but …. will it deliver value for money? Will it be predicated on robust science, or will those with vested interest endeavour to manipulate and manage the discussions to steer the outcomes favourable to their agendas? See an interesting commentary on a recent parliamentary discussion via Standing up for nature likewise in a new nature blog. Read the Hansard report on the debate. Surely the debate is not simply food or floods, more it is about a holistic and strategic approach to land use? Oh dear that’s probably too much for government to tackle in their short-term economic ‘outbursts’? We have been relatively fortunate here in the Humberhead Levels, whilst we have experienced precipitation it has not been the ‘unprecedented’ scale much heralded in the media. The image below shows an area in the Danvm Drainage Commissioner’s area, an area which saw a massively engineered solution to mining subsidence relatively recently …. It looks like Avery’s petition will pass another milestone tonight, but more signatures are needed to see upland land management more sympathetic to wildlife. Posted in Executive Secretary | Comments Off on Resources down the drain(s)? 2016 – resolved or resolute? Should New Year Resolutions be a personal issue or can organisations take them up? Perhaps organisations call them Business Reviews, wonder what politicians call them? The author of this post decided to start the year proactively and whilst not a serious NYD list, a few species of note were recorded making the short excursion worthwhile and carbon neutral by virtue of cycling …. 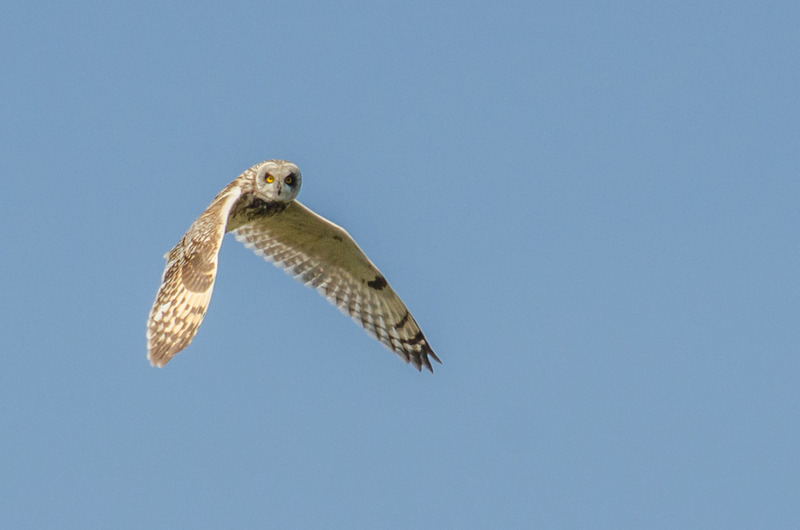 Stunning views of two Short-eared Owls hunting over arable grassland reverting to scrub, very wet and waterlogged in the lower areas of the field, ideal small mammal habitat. 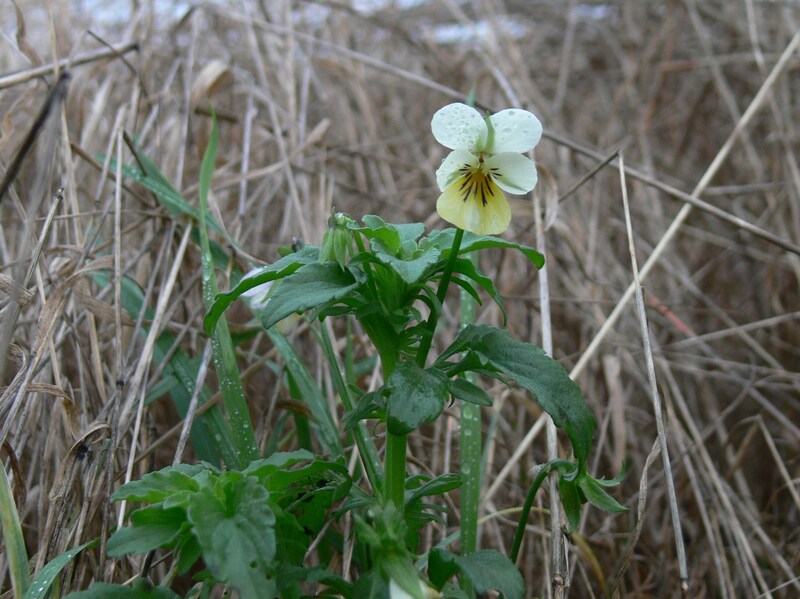 The same field, in a drier area, provided a sheltered microhabitat for Viola arvensis or field pansy, something agri-industrialists would consider a weed. But on a cool ‘winter’ day quiet delightful. *Focus on a couple of key ‘conservation’ themes to ‘campaign’ on, research them thoroughly to ensure up to speed with the current science involved to underpin case. Topical issues at the moment might include climate change and what better example to use than the recent flooding episodes and the role of the various agencies and drainage boards? The use of and impact of neonictinoids on pollinators? Equally topical might be fracking? 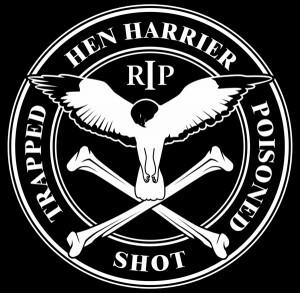 It might be badger culls or illegal persecution of raptors (particularly Hen Harriers)? In case any reader hasn’t signed the epetition ‘Ban driven grouse shooting’ then that might be a topic to consider? Management of upland moors (burning) for grouse has been shown to be damaging for water supplies as well as other eco-system services, see Leeds University’s EMBER Report Effects of Moorland Burning on the Ecohydrology of River basins. For background reading an informative and well researched book Inglorious Conflict in the Uplands provides a good understanding and a starting point for further investigation into a sport which has cost implications for all tax payers. *Enter into ‘regular’ correspondence with a variety of ‘people’. Ministers, Defra officers, media, MEPs, MPs, local councillors etc. Write a minimum of one letter a month to relevant MP / Minister (ial Department). *I suppose we might / should also consider taking up ‘Twitter (ing)‘? I recall an audience being told, or at least those who didn’t to ‘get over it’ and effectively get on with it …. whilst I recognise the gains made through the use of ‘Social Media’ I’m not entirely convinced that it is something for us, but ever an agnostic? Rural internet is sadly still none existent in parts of God’s own county and its hinterlands, so blogging isn’t as easy as it ought to be, twitter and tweeting – I thought that was something the birds did? *There has been suggestions made that one should review the NGOs you support, and there has to be merit in periodic reviews of this nature because there are the large, medium and small or for those sufficiently motivated there’s always the option to DIY if a gap exists? Whilst the large can have impact through advocacy on some key issues, they may not help local community groups protect locally important sites. The regular direct debit becomes a habit. Regional offers or specialist organisation can help you learn identification skills and can confirm difficult identifications, and are valuable networking opportunities and generally appreciate contributions from volunteers. It’s not a case of what you receive but what wildlife receives for your contribution and some it has been suggested spend too much on recruitment, PR and spin through regular press releases? Conversely, they can be a force for change? *Remembering the late Stephen Warburton, one of the Forum’s founding members, we should remain true to those principles, particularly Quis custodiet ipsos custodes? *Enthuse the next generation of wildlife enthusiasts / amateur naturalists. Once upon a time, that would almost certainly have been deemed to be children and whilst that is important, there is a resource with considerable capacity that could take up natural history as a hobby and or conservation campaigning to influence change etc. and they are the early retired proportion of the population. We should be promoting wildlife and natural landscapes as important habitats at any and every opportunity. If we don’t then they will be lost to agri-industrial intensification, to green belt development or mono-culture commercial theme / country parks? So a few for nature conservationists to consider? Here’s to 2016 – challenges and opportunities it’s sure to bring? Posted in Executive Secretary | Comments Off on 2016 – resolved or resolute? Can we trust Truss? Where is the evidence? This was Oliver Tickell’s headline as he reported in the Ecologist on 18 December that, according to the Minister “the badger culls are working”, try as he might it seems that like many scientists or even agnostics he could not locate any science to underpin or validate the ministerial assertion. Like many others he drew to readers attention the release of Government information …. Bovine TB: summary of badger control monitoring during 2015 was published on 17 December 2015, the day before the Parliamentary Recess. Defra also released Quarterly publication of National Statistics on the incidence and prevalence of tuberculosis (TB) in Cattle in Great Britain – to end September 2015 on 9 December. Another interesting read is a [Select Committee] report on Defra’s performance 2014 – 2015 “Managing threats” Crucially in para. 30 there is a clear statement that ‘a cost-benefit calculation must be made in each policy area on how upfront investment can provide value for money by minimising the longer-term costs, such as those arising from a significant flood event or animal disease outbreak’. So, aside from the headline figures contained within the report where is the detail, where is the CBA? The Government’s own data shows an increase in new incidents in the twelve months to September 2015 of 7.75% and this despite culls having taken place in Somerset for the past three years. Costs of this have been estimated at as much as £16m, one might be forgiven for asking if the increase in incidences and absence of any evidence of cost benefit analysis then is a programme of continued culls justified? Other estimates calculate the cost at around £20m of tax payers money. The only ‘evidence’ Ms Truss is able to offer appears to be anecdotal promulgated by the NFU? See also Ecologist article which offers insight on some of the ‘science’ offered by the NFU. Para. 40 [Select Committee report] states that ‘Sound science is essential to provide a robust evidence base for decisions on policies to tackle diseases’. So, again we ask – where is the evidence base to justify continued public spend on a continuing programme of culls? Ms Truss’s predecessor Owen Patterson put the cull programme on hold amid criticism and mounting evidence of failure, but Ms Truss carries on regardless determined to achieve a 2019 target of being bTB free by relaxing restrictions for future badger culls. 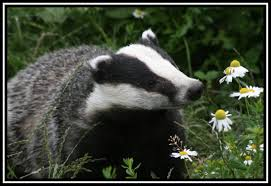 We struggle to understand why, given the assertions that the areas chosen for the culls are rife with bTB, why those promoting the cull and insisting that it is working have not tested any dead badgers to prove their assertions? Imagine credibility ratings if that were undertaken? The question, we offer, being whose? It might be that Ministerial credibility will be seriously tested following recent extreme weather, much more than words will be needed to persuade the public of scientific credibility and financial proberty and ultimately, competence? Wildlife and farmers deserve better …. We need a government fit for purpose …. Posted in Executive Secretary | Comments Off on Can we trust Truss? Where is the evidence? Exotics, endemics & Europe as 2016 approaches? We hear of laudable endeavours about saving exotic species, such as the polar bear, tiger, orang utan for example (there are other offers available) and that is absolutely commendable as the big and colourful high profile species attract equally colourful and high profile characters championing their cause and we could apply the addage of any publicity is good publicity &c.
Here in the UK we too have iconic species that experts underpinned with science offer are on the verge of extinction. 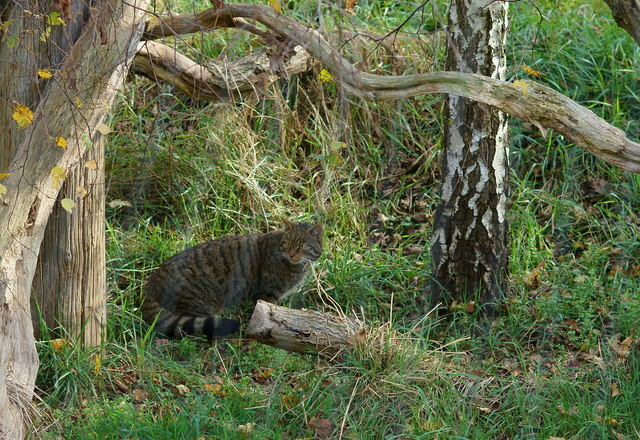 The Scottish Wildcat is one such species? 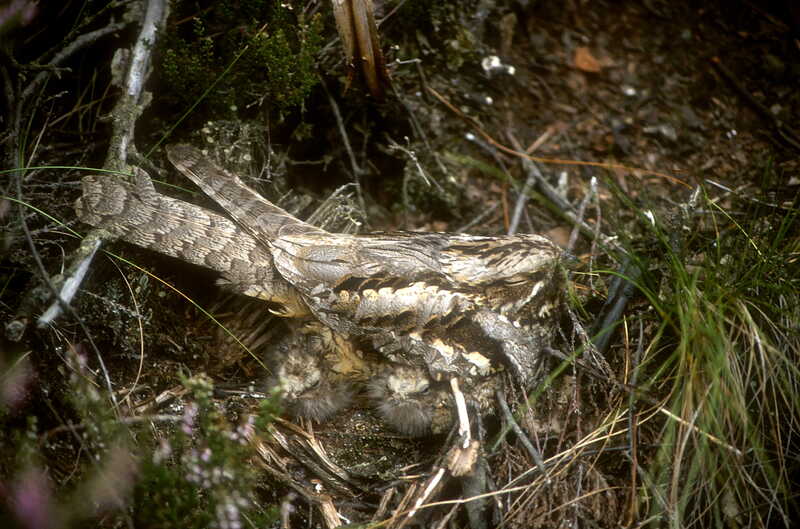 Recent studies have shown that Wildcats can control predators such as stoats, pine martens and polecats rather than grouse and other gamebirds as once believed and promoted. The Scottish Government’s conservation agency Scottish Natural Heritage commissioned a survey and scoping analysis in 2014 to consider how best to address the continuing decline of the iconic species. See Louise Ramsay’s account “Saving Scotland’s Highland Tiger” via Ecologist. It is a tale of two halves, challenges and opportunities? Recent arrival, ‘Fergus’, seen at the British Wildlife Centre, Newchapel, Surrey. © Copyright Peter Trimming and licensed for reuse under this Creative Commons Licence. Factor in also that this year we’ve heard much about the loss of biodiversity and habitat destruction, might we suppose that this was a continuing trend from 2013 (and previously) when many of the large membership NGOs collaboratively published the damming State of Nature report? Given the apparent inertia in terms of address of the issues and the recommendations complicated by distractions like changing climate patterns and wholesale floods sweeping the UK in recent times then one might wonder as peripheral debates about UK EU membership and the referendum on the horizon, what it might mean for nature conservation, so …. Would we be better in or out of the European Union in terms of protecting the natural environment? In 2015 a number of reports were published by the European Environment Agency, some of these post provision of data by members states in 2013 under the Birds (2009/147/EC) and the Habitats (92/43/EEC) directives. State of nature in the EU The page provides a link to the report and annexes. The State of Nature in the EU is the glossy EC version, those above are lengthy texts and graphical data. Something to ponder, to ‘mull’ over as we prepare to see out the old and bring in the new year? Posted in Executive Secretary | Comments Off on Exotics, endemics & Europe as 2016 approaches? Post Paris: business as usual for fracking fans? The ‘Greenest government ever’ appear to continue to abandon pledges made, recent u-turns have been solar subsidies and back word on allowing local communities decisions on planning issues? As more people begin to realise the risks involved with fracking a case might be made that ‘big government’ is taking back decision making and imposing development on local communities? These developments and indeed all government spending decisions are under pinned by public funds, but the public have no direct say in their allocation? Neo-liberalism is dependent upon public subsidies (Jones, 2014), so something of a contradiction to the usual call by politicians for a ‘market’ place economy? All this on the back of the climate change summit in Paris when around 190 nations spent two weeks discussing how they (politicians) would tackle the underlying issues causing so many climate related problems across the globe. The Guardian has called upon George Osborne to end his love affair with fracking, insisting that scaling up of fracking is incompatible with Paris. But no sooner was the summit over and Osborne was slashing and cutting support for technologies which would help the UK achieve its targets. Avery, as ever to the point offers an analysis on Cameron’s tenure as PM and you’d have to admit, he has a point? PM or PR? Fracking poses significant risks to people’s health and local environment, as well as being incompatible with tackling climate change and the promises made in the recent Paris climate change agreement, so assert FoE and we’d have to say that as we can’t find any underwritten assurances or pledges post problem occurence, that we’d be inclined to agree and additionally we’d encourage government to adopt the Precautionary Principle . Sadly it seems that as the UK delegation to the Paris climate change summit were making their way home by planes that they weren’t long before they were back on track with their unrelenting ‘dash for deep dirt’ after they ‘dumped dirt’ recently with the closing of the last UK deep mine at Kellingley, where is consistency in this kind of action or policy? Onshore maps showing the local ‘Humberhead Levels’ status according to GOV.UK & FoE also provide a useful reference map which shows the recent (December 2015) licences offered. Even the British Geological Survey is partially funded by companies involved in hydraullic fracking. The link above takes you through to TTL where there are some other useful links and information about fracking, Refraction is a particularly useful, a free ebook “Fracking the UK” by Alan Toothill is available via Defend Lytham St Annes. The growth of community groups taking up their cause, using the internet to spread and share the information, to support others in their quest for local democracy is pleasing, long may it continue …. Remember it’ll soon be time to consider making New Year Resolutions? If you do indulge, then near the top of that list might be to make sure that if you look at a ‘topical theme or issue’ then you undertake thorough research, ‘all that glistens is not gold’ is certainly a good guide? Posted in Executive Secretary | Comments Off on Post Paris: business as usual for fracking fans? New Year’s Resolutions: Avery offers suggestions …. 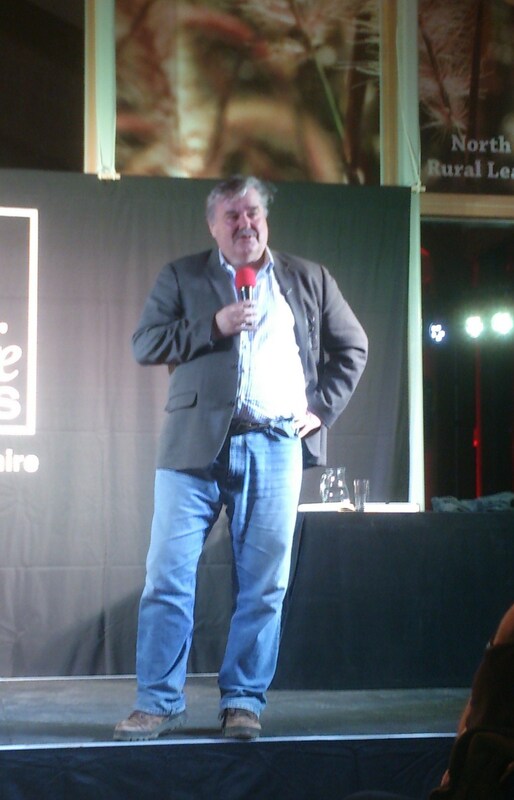 It was a packed Idle Valley Rural Learning Centre on Friday evening, Dr Mark Avery’s message to people – don’t just leave it to others, but act as individuals and then the critical mass has the potential to cause change (that assumes that there is sufficient collaborative conservation) …. Avery, author of a number of ‘campaigning’ tomes which if you’ve not already read might feature on your Christmas wish list? 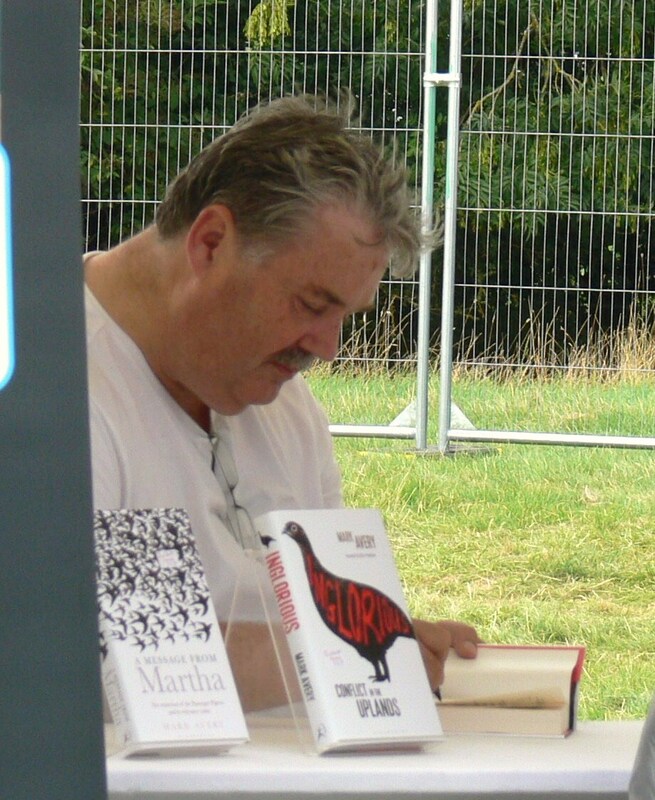 Fighting for Birds written post RSPB employment, A Message from Martha and significantly Inglorious A Conflict in the Uplands provides background information and peer reviewed science on the ‘sport’ of driven grouse shooting. Updates and supplementary information is available via Standing up for Nature. Avery asked the audience various questions about their love and actions for the natural environment, with much as expected results. The acid test as they say would be in twelve months if that same audience returned their with lists of actions and outcomes? Consider cutting back on meat consumption, Avery now enjoys a four days a week meat free and insists that it’s not difficult. I’d agree and readers can see why by clicking on the link above. One person was rather too pleased with themself for being a vegetarian, whilst that is laudable it wouldn’t actually make any impact post talk. It might be that Avery was trying to encourage meat eaters to think a bit more about the impact of their choice, to inform themselves more about the issues involved with eating meat and thus by cutting back there was recognition but also a compromise which didn’t stop enjoyment of the great bacon butty or succulent steak from locally reared rare breed cattle (not agri-industrialised ‘processed’ meat for supermarket chains with far too many food miles and astronomical carbon footprint). The talk, was I think designed to make people look at their lifestyles without trying to make them feel guilty, it was about making informed choices and coming to acceptable compromises. Get out there more and connect with nature, and encourage others to. By enjoying a space made available for nature to heal, through planning mitigation or industry transfer for an NGO to ‘garden’ then the wilder and less accessible places come into focus and remind people who pay taxes and support ‘agri-welfare’ schemes that they are valuable and not just playgrounds for elite sport or tax deductable forestry developments for pension funds but areas of land which can positively benefit the whole population through carbon sequestration or flood allieviation etc. Choose a couple or so of ‘causes’ to get involved with, research them well and write, attend rallies etc. to further them. Neonictinoids and bees, badgers and bTB and climate change were some offered as suggestions. Write to MPs. Mark suggested a letter a month as being an easy target. We’d agree but you must recognise that MPs don’t always respond, a recent letter about hen harriers and driven grouse shooting was sent to one of our local MPs who then sent this on to the Minister and the most patronising ill informed response was sent back via the MP. Indignant that the respondent had clearly failed to read the letter let alone the eight questions asked which have still not been answered a follow up letter was written, sadly to date no response from either the MP or the Minister. Other correspondence awaiting replies include such topics as bTB and Neonictinoids. They work for you? I must look up what it is that they do such that if they were all (including the other 850 in the Westminster Palace) kidnapped by aliens what in our daily lives would cease to happen …. Review your membership of the NGOs you support, setting aside reasons like the cost do they still reflect your interests, do they take action on issues you consider important, are they able to evidence claims of outcomes they publicise? One member of the audience cited a charity seeking additional funds for target species and Avery rightly offered advice on testing the marketing material used, it is certainly something to consider before responding to direct marketing? Support and get involved with an NGO. Write to the NGOs of which you are members and praise positives and present a case for action on particular issues that people felt strongly about in the hope that they might become involved. 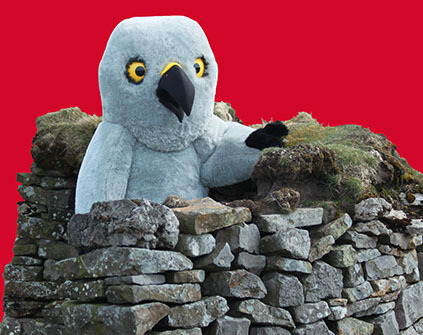 Sign ‘Ban driven grouse shooting’ and encourage others to. 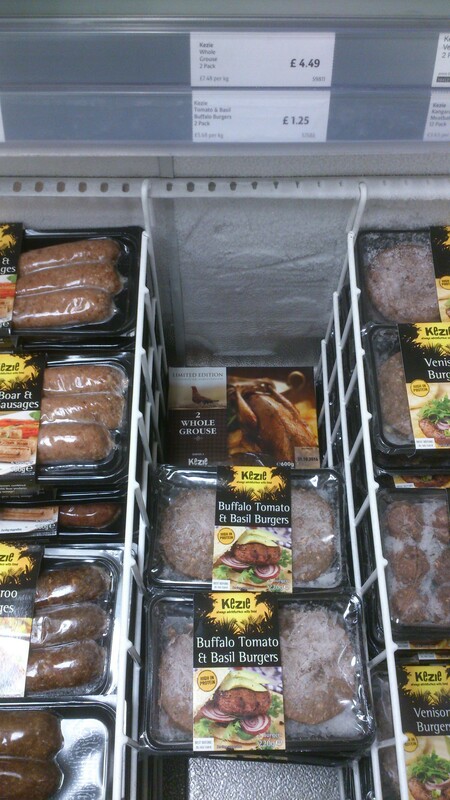 Game meat offered for sale locally, toxic lead content of the brace illustrated??? Click on the image to see more detail and price. You’d need to do some backround research as to the case for banning lead ammunition but the epetition to “Ban toxic lead ammunition” is something that is worth considering if you are not already a signatory to it? Avery’s forensic attention to detail makes a compelling case, a case already supported through the banning of lead shot in wildfowling, supported by the likes of Lord Krebs so one could be forgiven when one reads the pontificating badly briefed MPs in shooting constituencies worried about the cost of converting their pairs of Purdy’s when the topic was discussed recently in the Westminster village? I suppose if a dozen shooters wrote to them they can claim to be representing views of constituents, but I would still be interested in why they see no issue with no regulation on toxic metals in the human food chain for game when it exists for farmed meat, common sense, consistency? I’d probably add a couple of other suggestions, if not a daily dose of Avery via Standing up for Nature then at least a weekly look at his blog posts? He offers thought provoking and often topical items, he prompts action even if it is only a nudge to respond to a goverment consultation, he offers you a ‘right of reply’ through a comment facility. There are other blogs available, “a new nature blog” is one such offering let us know who you follow and why? There are of course the ‘corporate’ blogs offered by the NGOs but the two offerded here are independent and not marketing linked to membership organisations. If you read one book this ‘consumerfest’ then I recommend and challenge any agnostic to not be persuaded after a Yuletide dose of ‘non-medicated nor toxic’ Inglorious A Conflict in the Uplands. I suppose if one were to reflect on the description of Inglorious being non-toxic, then it is all relative and those who participate in the activity which appears to endorse illegal acts then it is a spotlight on practices some would prefer kept below the public radar? As for undertaking the above suggestions, will you if you’ve not already done so? With apologies to Mark for not providing his full list, NYR – really must do better? 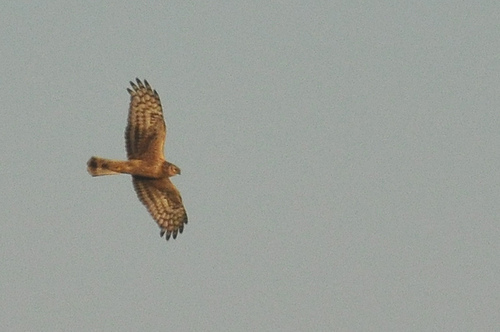 Henry the campaign’s mascot (above) – I dipped out on meeting him at the Birdfair, but here’s to 2016 and a good year for Hen Harriers. To Birders Against Wildlife Crime, long may their endeavours see wildlife crime remain a high profile campaign. To Chris Packham and the other wildlife ‘celebrities’ who have rallied and risked being threatened by the ‘sack’ a massive thank you. Posted in Executive Secretary | Comments Off on New Year’s Resolutions: Avery offers suggestions …. Government proposals threaten environmental justice? Costs Protection in Environmental Claims – access to justice under threat? Thursday’s article in the Law Society Gazette expresses serious concerns about the Ministry of Justice current consultation on access to environmental justice. The consultation which closes on Thursday threatens to seriously undermine the recently introduced rules which had previously allowed many claimants access to environmental justice for the first time. Carol Day regards the proposal which seeks to confine eligibility to a member of the public could exclude community groups, parish councils and even environmental NGOs from costs protection. The proposals may also exclude legislation impacting on the environment that does not specifically mention the environment in its title or heading (such as environmental taxes, control of chemicals or wastes, exploitation of natural resources and pollution from ships) from review. The existing, perfectly workable rules were only introduced in 2013 and fully comply with EU and international law. In the views of many Judicial Review is an essential foundation in the rule of law. Regular readers might also recall Carol’s guest blog here when she appealed to us all to respond to the proposed changes. Can we rally and send a mail box full of responses to the MoJ? Any of you who have been involved in research and collation or putting together ‘bundles’ for a Judicial Review will understand and appreciate that such work is not undertaken lightly, any of you who have had to find the funds for such action will fully appreciate the difficulties so for government to place more hurdles in communities, an individual or a charities way might forgive us for suggesting it is an affront to democracy? A letter to The Times today, addressed to Michael Gove MP and signed by Lord Brennan QC, Baroness Kennedy of The Shaws, Dr Elaine King (director of Wildlife & Countryside Link), Lord Lester of Herne Hill QC, Baroness Parminter, Sir Stephen Sedley and Baroness Young of Old Scone deems the proposals to be a ‘backwards step’. They assert that there is no evidential basis for the changes, a view shared by many who have written extensively on the issue. The signatories ‘urge the government to withdraw the unjustified and damaging proposals in the interests of protecting the environment, checking the abuse of power and u[pholding the rule of law’. Readers are encouraged to respond to the Ministry of Justice consultation here. There is an excellent briefing “Costs Protection in Environmental Claims” via Wildlife and Countryside Link and also one by Friends of the Earth. The consultation is aimed at organisations, but Mark Avery offers a bit of guidance when it comes to responding to that particular aspect of the proposals. Hard enough to challenge Public Bodies, statutory agencies and authorities as it is and given they are funded through the public purse there has to be a right of reply? If politicians words about open, transparent and accountable government are to have any credibility then a legitimate claim should be allowed to anable the public to challenge, in the interests of environmental justice, bad decisions? Deadline for responses Thursday 10 December 2015. Posted in Executive Secretary | Comments Off on Government proposals threaten environmental justice? Hear Mark Avery promote 10 New Year’s resolutions? For readers of this blog who have not heard the motivational author of Inglorious Conflict in the Uplands speak, then now is your chance. Avery, also the author of the equally inspiring and insightful Fighting for Birds and who presents, in A Message from Martha a stark warning to us to act ‘today’ before it is too late and we witness other extinctions of species previously considered ‘common’. Doors open at 6.30pm with lecture at 7.30pm followed by Q&A book signing & raffle. Please note there is also an additional cost as “NWT invites a car parking donation of £2 per car. All donatations directly support the charity”. Order your tickets here. What might be Avery’s offering in terms of NYR? 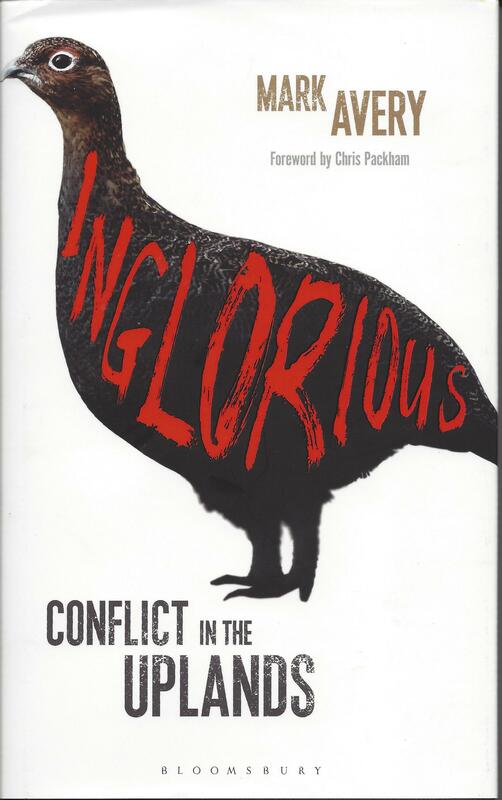 Amongst his top ten might be to read Inglorious and consider signing the epetition Ban Driven Grouse Shooting, read Inglorious and understand the issues behind Rob Sheldon’s epetition Ban Lead Shot and consider signing that too? Avery encourages readers to write regularly to their MPs, there are rumours that they work for us (but that’s a debate for another blog) and he encourages readers to let them know about environmental issues. Other clues might be found in his very readable blog Standing up for Nature. Ok, there is emotion but importantly there is well researched evidence to back up statements. Let’s face it some of the topics he airs and those often avoided by others are ones which if some could they would litigate so clearly a master of carefully crafted case presentation, long may such narrative be produced and published? Avery would probably also encourage you to join one or more of the usual conservation NGOs. Posted in Executive Secretary | Comments Off on Hear Mark Avery promote 10 New Year’s resolutions? Does the news of cuts to Defra departments in the Chancellor’s Autumn Statement 2015 come as a surprise to conservationists? 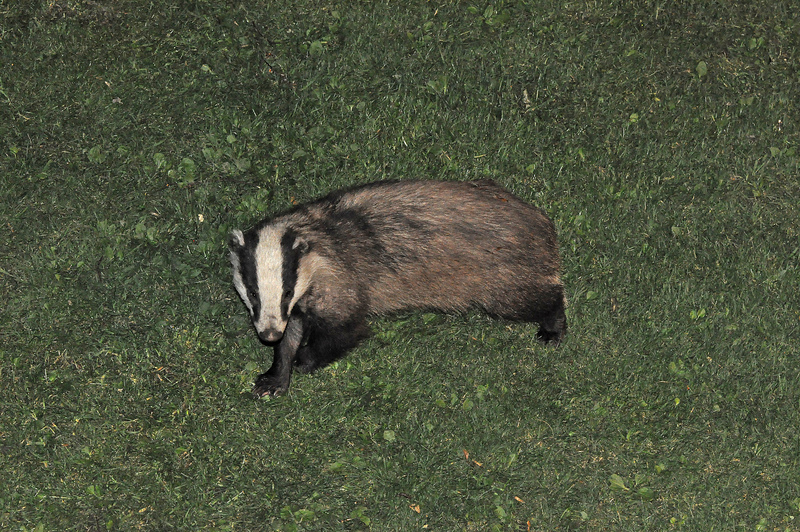 a new nature blog provides an analysis which is worth a read, entitled ‘Shifting Baselines’ it presented mental images of those badgers moving the goalposts again? The view of disproportionate cuts to Natural England and the Environment Agency is an interesting prospect? There is to be some £2bn to protect 300,000 houses from flooding …. per chance that any were built in a flood plain and if so why? The relaxation of planning regulations could well see more of this kind of development which will need public bail out in bad weather events? Selling off of family silver (public land) to fund house building (private) appears to be a favoured option still. But what implications for cuts to NE and EA in this area and would we miss their presence? Be careful what we wish for? I suppose one should analyse the remit of an organisation, its raison d’etre? Natural England, started out as the Nature Conservancy Council …. these days one might be forgiven for thinking they were a advisory service for commerce or a tourist management service offering franchises on country theme parks? Readers may be interested in some of the latest vacancies with NE, Sustainable Development; Planning, Lead Adviser up to 17 roles in nine areas or Sustainable development, Wildlife Management Lead Adviser – up to 12 roles in nine areas? Excluding pensions these 29 posts come with a price tag of around £700,000. Add in pensions on costs, sick pay, perks &c. then little change from a million? I will leave other bloggers to provide an Eco-mical critique. There used to be science staff, there used to be science undertaken in the ‘good old days’ …. clearly the organisation or perhaps its hierarchy sees its future with a different focus and one which fails to underpin decisions on evidence based science (eg badger cull)? Conversely the new approach to science might be as Technical Information Notes? When was the last time there was an advertisement for a science post? Maybe it’s down to the big society or citizen science to plug the gap? Readers may recall our work on Inkle Moor in 2012? The Survey was a tri-partite collaboration and has its origins in 2011 when a funding application to defra was successful and secured from them around £10,000. The Forum contributed a further £5,000 from its own funds but the added value in kind saw the project deliver, at a conservative estimate, outcomes worth in excess of an estimated £115,000. On the back of the findings from the Survey, funds were then found by an independent conservation charity to purchase Inkle Moor so a ‘win win’ situation delivered by a collaborative endeavour? Posted in Executive Secretary | Comments Off on Chainsaws reving up? Call for Action: Freedom of Information under threat? The Campaign for Freedom of Information provides a useful resume of the threat to democracy and to those who seek accountability of Public Bodies funded through the public purse. In July the Government announced that a Commission would be set up to to examine the FOI Act and consider what further restrictions should be imposed on the right to know. The Prime Minister also confirmed that policy responsibility for Freedom of Information policy will transfer from the Ministry of Justice to the Cabinet Office. This change will be effective from 17 July 2015. After sitting for 3 months, the Commission has now finally invited the public to submit evidence to it. The Consultation closes this Friday, 20 November 2015 and we understand that the results are promised by the end of November! Already 140 campaign groups and media bodies and others have written to the Prime Minister expressing concerns about the composition and terms of reference of the Commission. Readers have a week to compose a response to the consultation, will this campaign to clamp down on open transparent governance and accounting attract as good a response as the recent attempts to ‘challenge’ the Habitats Directives? That consultation we understand attracted some 552,471 responses! Comments on the My Society page suggests that they would like to see it expanded not curtailed, bring it on? There are also some interesting suggestions as to the reason behind the Prime Minister’s plans? Posted in Executive Secretary | Comments Off on Call for Action: Freedom of Information under threat? Natural Capital Report: Trick or treat? On Halloween …. I finally got round to reading the Government’s response to the Natural Capital Committee’s third State of Natural Capital report (published September 2015). Readers might judge for themselves if this is a trick or a treat by the Government? The NCC’s third (73 page) report is glossy and is compiled by an interesting mix of experts. The NCC’s membership comprises Prof. Dieter Helm (Chairman), Giles Atkinson, Ian Bateman, Rosie Hails, Kerry ten Kate, Georgina Mace, Colin Mayer and Robin Smale. It has a supporting secretariat from defra of four. The NCC was the product of the 2011 White Paper, The Natural Choice and it claims to have set out the building blocks “to be the first generation to leave the natural environment in a better state than it inherited”. Its initial term was for three years but has received a six month extension to produce the third Report post the 2015 general election. What does it tell us? What does it tell us that we didn’t already know? More importantly what is the Government going to do about the parlous State of Nature? The State of Nature 2013 asked the question what needs to be done? What has been done in the intervening period? We understand that many of the original organisations and new ones have come together again to provide the answers and identify key actions needed to reverse the ongoing decline, this is to be reported shortly in a Response for nature (seperate issues for England, Scotland and Wales). This is laudable, we can all look forward to another glossy launched at a grand event? Will Iolo provide the opening speech, or will they wheel out a Government Minister who will refer to their response above? It could be an opportunity for Government Ministers and Chief Executives to persuade any sceptics in the masses of their sincerity? Would realists prefer underwritten guarantees given track records? Ten NGOs have written to David Cameron expressing dismay at the weakening and cancellation by Government of ten environmental measures. Stephanie Hilbourne, representing the Wildlife Trusts is reported to have said that “the Government’s stance is shocking and showed disregard for the health and wellbeing of current and future generations as well as the environment we all depend on”. Dismay could be considered as a tame word, but then we remember the days when the late Stephen Warburton was active within the WTs and the conservation movement generally. Today’s managers have understandably to keep an eye on the bank balance if they are to keep the ‘ships’ afloat? They would be foolish if they were to bite the hand from which crumbs fall? We can all do our bit, but at the end of the day it is our consumption of finite resources and our spending choices which allow the market economy to wreak havoc upon the natural environment across the globe. Even if the UK Government provide funding for ‘project management’ to stem the tide …. I seem to recall that Cnute failed? “Green Blobs” are set up to fail, simply by virtue of the disproportionate funds aka subsidies or state welfare payments to industry? Neo-liberalism survives by virtue of state support (Jones 2015). The recent publication by Government, as part of its Rural Productivity Plan for England, is a 10 point plan for ‘boosting’ …. fundamental to my mind would be the requirement for broadband. That is to say actual broadband, not necessarily 4G but a decent broadband connection? Trick or treat, most definitely a cruel trick out here? Oh, look they will look at satelite provision, ‘look’ just like years ago they were going to deliver but drip drip drip and watering down of words? So, Mr Osborne & Ms Truss the plan falls at the first and as for the rest they read as more deregulation and therefore risk the very landscapes and natural environment so many of us living in rural areas value? It would be interesting to access the research which evidences the need for these ten points? As yet the underwriting of failure eludes readers, but perhaps it’s principally about the deregulation and maximising of private profit at the expense of communities and long term residents? Like the aforementioned organisations, the Forum has in the main in a voluntary capacity, delivered reports on the state of the natural world on our doorstep. It is important that we all do make contributions to the catalogue of change in our fauna and flora. One of our best recent examples has been the Inkle Moor Invertebrate Survey undertaken in 2012. As well as providing an update on the status of the invertabrate assemblage of this important piece of remnant lagg fen, it even delivered a first for the UK! Streptanus okanensis a species of terrestrial Hemiptera (or ‘bug’ if you prefer). The Survey was a tri-partite collaboration and has its origins in 2011 when a funding application to defra was successful and secured from them around £10,000. The Forum contributed a further £5,000 from its own funds but the added value in kind saw the project deliver, at a conservative estimate, outcomes worth in excess of an estimated £115,000. The statistics are pretty impressive too, but maybe it’s only entomologists who would appreciate them? On the back of the findings from the Survey, funds were then found by an independent conservation charity to purchase Inkle Moor so a ‘win win’ situation delivered by a collaborative endeavour? Similarly Thorne Moors A Botanical Survey initiated by Ian McDonald a local botanist and Colin Wall a local bryologist and for whom this represented something of a magnus opus and a project which the Forum were happy to be involved in and make available their extensive expertise in terms of editing and publishing, also working with other stakeholders to add value to the raw data by incorporating supplementary supportive chapters. From very positive feedback received since its publication in last year those chapters have added value by providing previously unpublished information to researchers and the public. Whilst the Forum was able to act as the lead in terms of project management and delivery through to publication, the initial idea was that of local naturalists. 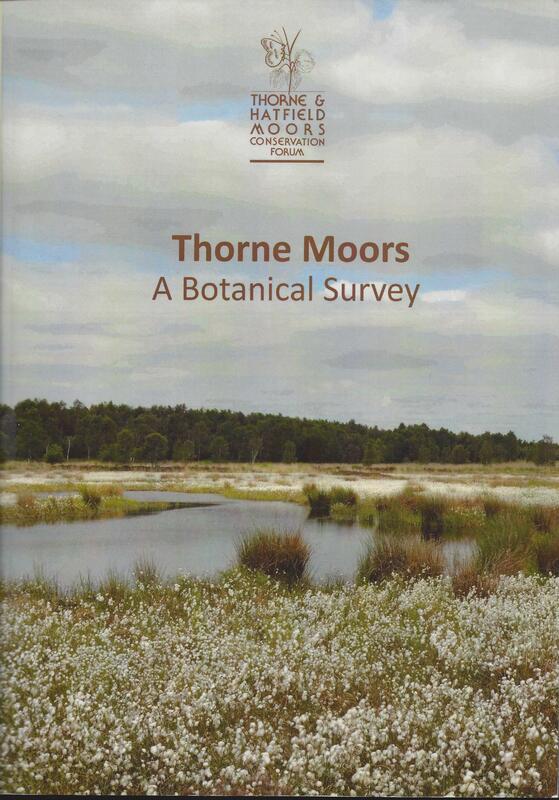 Significantly this project provided the first ever published list of the flora (including bryophytes) of Thorne Moors. The work started in 2010 and it details the flowering species found over the three and a half years of survey whilst the moss list provides the species known up until publication in 2014. Both these projects demonstrate the value of volunteers and their expertise as amateur naturalists. 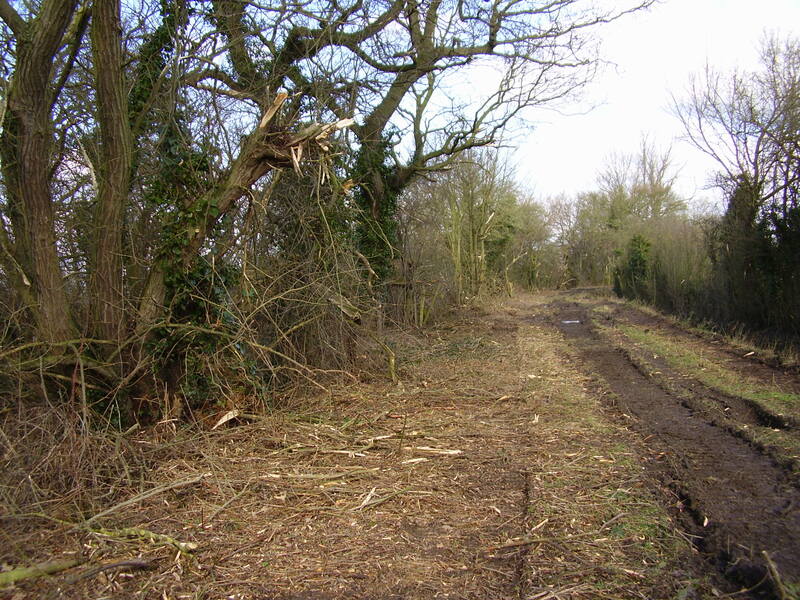 It is amateur naturalists who are committed to cataloguing the changes in the nature of Thorne & Hatfield Moors. Without such contributions and data like these then there is the risk that statute might forget the value in biodiversity and the value in climate regulation, carbon storage etc.? There are a few copies remaining and details of how to obtain one can be found here. Posted in Executive Secretary | Comments Off on Natural Capital Report: Trick or treat? The ‘bogs’ salute The Rt Hon Michael Meacher MP. 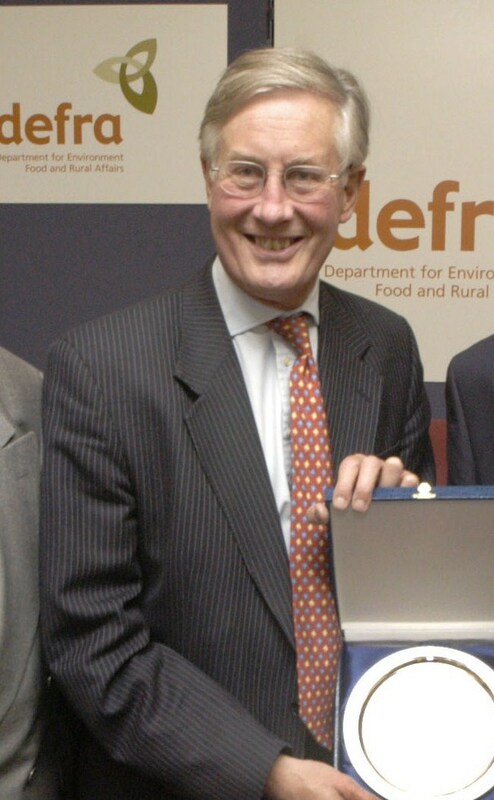 On 21 October 2015, the death of The Rt Hon Michael Meacher was announced. So, what had Meacher to do with Thorne & Hatfield Moors? It is Meacher that we here at Thorne & Hatfield Moors have to thank that the sites are still here! Whilst the ‘battle for the bogs’ started long before 1997 that year was a very significant one. So much so that had English Nature and their hydrological report sponsors won the day, then we may not have been able to enjoy what remains of them today. Undoubtably the natural environment has much to thank Meacher for, comments further to his obituary in the Guardian are very telling. 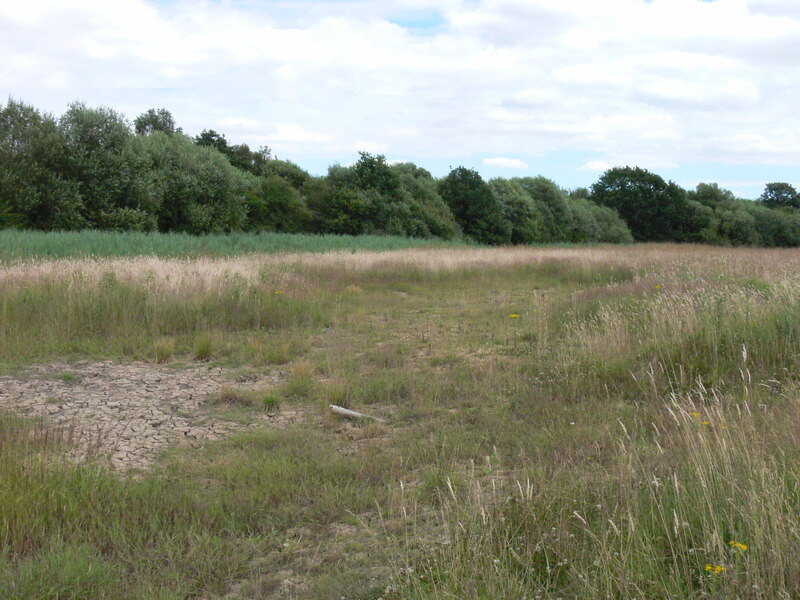 In July 1997 English Nature proposed to remove the protective status from parts of Thorne & Hatfield Moors. The hydrological reports upon which the statutory agency based their recommendations were later established to have been provided by the peat producers! Derek Langslow, the Chief Executive of English Nature at the time, a very brave man indeed as he ventured to a public meeting held in Thorne Grammar School to try to justify ENs proposal to a packed hall of around 400 people, or so the regional and national press reported. I don’t recall his response to the question “who funded them [the hydrological reports]?” because the audience at that point were incensed …. the rest as they say is history as Meacher ‘suggested’ his agency to review their proposal. Meacher was then keynote speaker at our 2002 conference which celebrated the buy out of the extant planning consents. 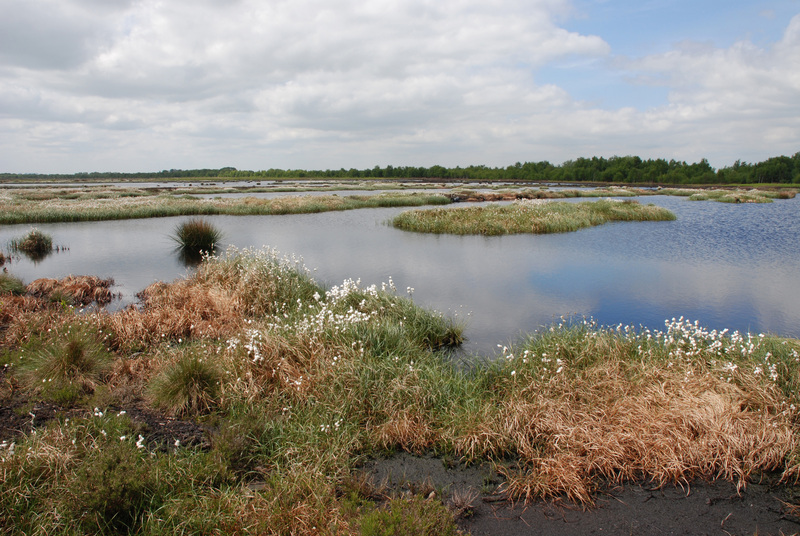 The transcripts from “Peat – the way forward, a future for the UK’s peatlands” are available as a download. To hear a Government Minister describe local conservation campaigners as a ‘considerable force to be reckoned with’ caused a few chuckles amongst the audience that first day of the conference, his speech that day also shows an understanding and recognition of the part that local communities and activists can have in safeguarding their local areas. 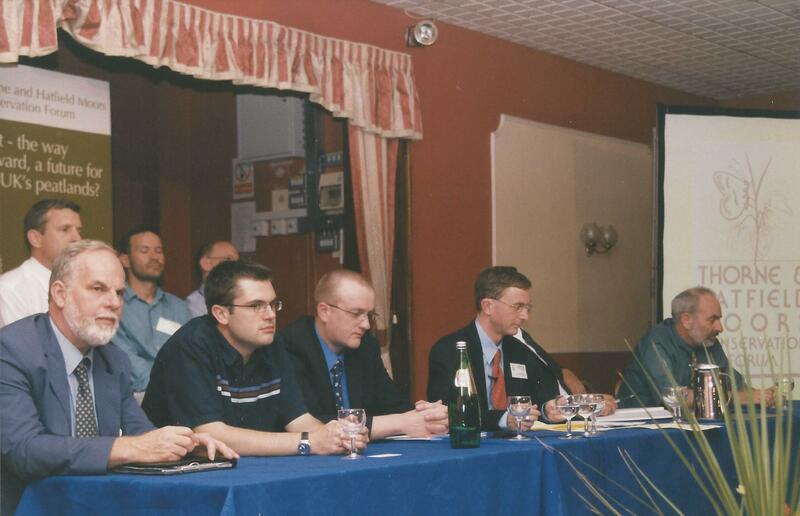 We were fortunate also that Craig Bennett of FoE (second left, front row below) raised the profile of the peat campaign to that of a corporate campaign. Sadly one might ponder the possibilities of another of his ilk …. 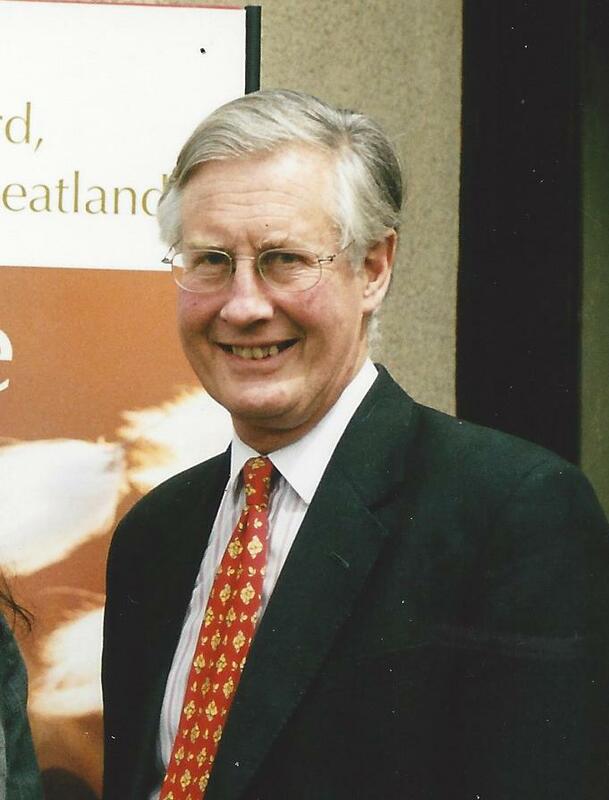 The image above shows Michael Meacher receiving an award for services to conservation when local bog-trotters travelled to London to make the presentation in October 2002. 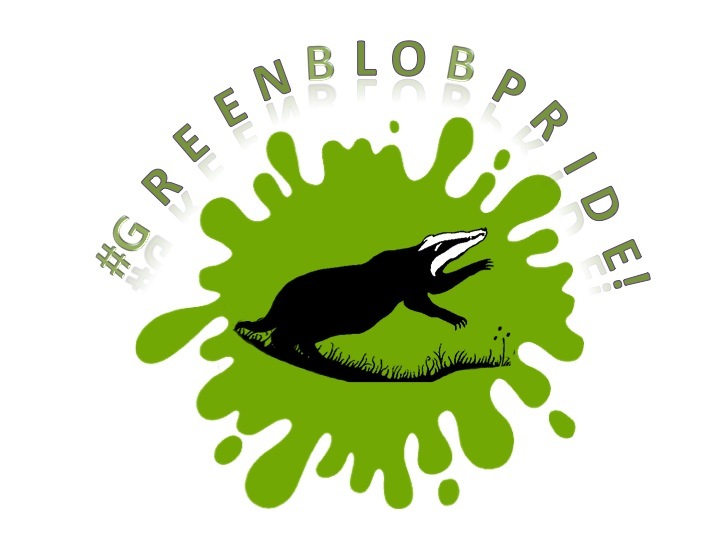 Today we have Government Ministers calling anyone who cares about the natural environment ‘green blobs’. We have Ministers who sign off badger culls. We have Government claiming to be an evidence based one but who then fail to commission science or ignore that which exists prefering ‘pr’ narrative? We have Government Departments who fail to act and enforce legislation when local SSSIs are damaged, fail to comply with European Directives, fail to act when raptors are illegally persecuted …. the list is endless. The record since Meacher was sacked (rumour has it because he listened to science and to folk in the know) speaks for itself? 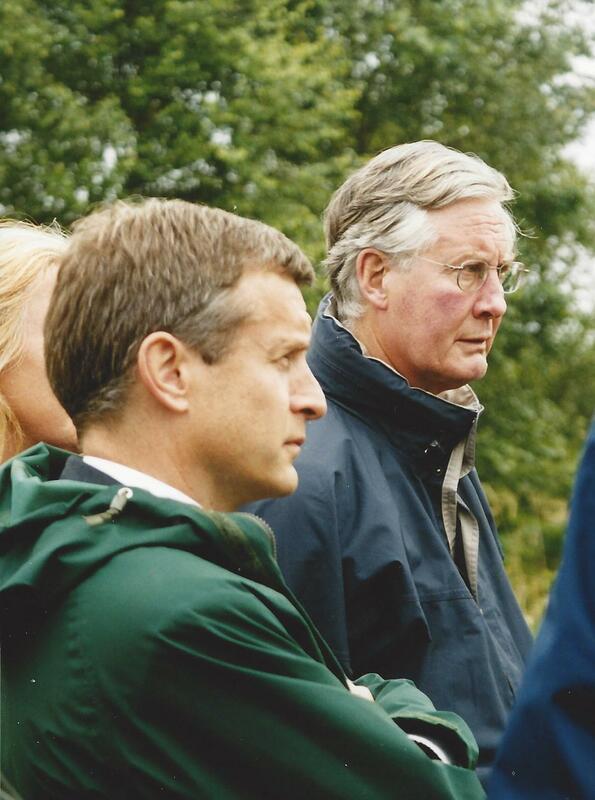 Thorne and Hatfield Moors and the T&HM Conservation Forum mark his passing with great sadness but celebrate his achievements for ‘our moors’ and other areas such as the Countryside and Rights of Way Act 2000. Lest we forget the corporate carnage wrought by peat extraction …. 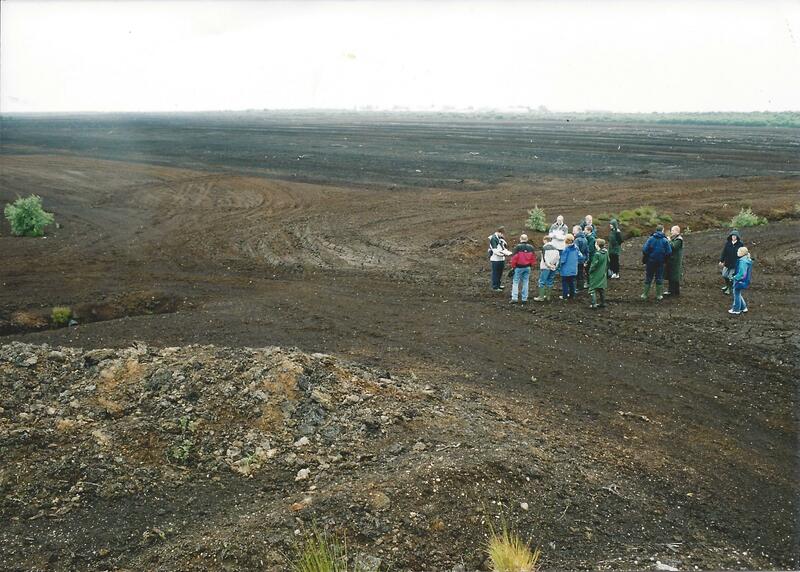 Above: It is July 2002 and the Ministerial party look out across the ‘killing fields’ which if revisited today show nature’s capacity to heal industrial scale scars inflicted by industrial processes, but as we mark Meacher’s passing we mourn also for the lost record from the peat ‘Doomsday’ record of of climate change. Posted in Executive Secretary | Comments Off on The ‘bogs’ salute The Rt Hon Michael Meacher MP. What price democracy? A Guest Blog by Carol Day. The Executive are delighted that Carol Day, environmental law specialist offers us an insight into recent proposals to change access to ‘challenge’ of statute for poor or bad decisions …. Carol then encourages us all to respond to the Ministry of Justice’s Consultation. The rule of law in the UK dates from the signing of the Magna Carta in 1215. It is the legal principle that law should govern a nation, as opposed to being governed by arbitrary decisions of individual government officials. Unfortunately, in the wake of recent and current proposals from the Ministry of Justice (MOJ) it feels increasingly like the latter to those of us working in the world of environmental law. Judicial Review (JR) is the last and almost the sole mechanism for civil society to challenge the decisions of public bodies and achieve a remedy in the courts. But the process of JR is being systematically dismantled and proposals launched by the MOJ in September will make it nigh on impossible for anyone to challenge the decisions of public bodies on key issues such as a third terminal at Heathrow or High Speed 2. In July, the MOJ consulted on proposals requiring claimants to provide information about third parties who have provided funding in support of litigation with a view to the court making costs orders against them. The proposals were presumably not crafted to deter people from joining or donating to charities – but that is likely to be the result. The most recent proposals are far less opaque. After a decade of domestic and international scrutiny, the Government introduced bespoke costs rules for environmental cases to comply with EU and international law. The new rules offer the vast majority of claimants’ access to environmental justice for the first time in years. While repeatedly emphasising the importance of maintaining the rule of law, proposals launched in September will render environmental litigation unworkable and return the UK to non-compliance with EU law and a UNECE Convention called the Aarhus Convention. There is no evidence to suggest the new rules have led to a proliferation of environmental cases. Information obtained from the MOJ under the EIRs confirms the number of environmental cases did not increase at all following their introduction in April 2013. There were 118 cases in 2013-2014 and 153 in 2014-2015 representing less than 1% of the total number of JRs annually (20,000). Environmental cases are also “good value for money”. Between 2013 and 2015, nearly half (48%) of environmental cases were granted permission to proceed, contrasting with a figure of 16% for all cases in 2014 and 7% in the first quarter of 2015. Over the same period, 24% of environmental cases were successful for the claimant, contrasting with a success rate of 2% for all cases in 2014. So, while environmental cases represent a tiny proportion of the total, they play an essential role in checking the abuse of power and upholding the rule of law. Making it more onerous to apply for interim relief (an injunction) to prevent serious and irreparable harm to the environment while the legal action is ongoing. The combined effect of the proposals is that the process of applying for JR will be so expensive and onerous that people will be dissuaded from even trying. If you value the right to challenge the decisions of public bodies you think are unlawful, please ask your MP to write to the Justice Committee about an inquiry into the future of Judicial Review in England and Wales. The response is an online option, but for readers whose network might include people without access to the internet or good rural broadband then contact your MP and ask them to help you respond. MPs can be found via http://www.theyworkforyou.com (although experience shows that this site does not always provide accurate information, something of a ‘postcode’ lottery I fear) or via the Parliament website. Read also the background paper Costs Protection in Environmental Claim: Proposals to revise the cost capping scheme for eligible environmental challenges. Posted in Executive Secretary | Comments Off on What price democracy? A Guest Blog by Carol Day. Diary dates & networking opportunities. As Autumn gives way to Winter and the days draw in then perhaps it’s time to meet up with old friends or attend networking events and make new ones? Two identification courses and three events are offered, details below. The Northern England Raptor Forum annual conference is being held on Saturday 21 November 2015, it is being hosted by Calderdale Raptor Group and is to be held at Rishworth School, Rishworth, Halifax, HX6 4QA. For more information and booking forms, click here. Prof. Ian D Rotherham and team, long standing friends and associates of the late OG are running a two day conference Oliver Gilbert: A life in ecology that marks the premature death ten years ago of a giant in nature conservation. The conference is 13 & 14 November 2015 at Sheffield Hallam University. Sphagnum identification courses, 19 & 26 November 2015 in Sheffield. Waxcap identification courses, 15 & 29 October 2015 in the Sheffield area. Posted in Executive Secretary | Comments Off on Diary dates & networking opportunities. Focus on the disease not ‘scape goats’? A report has been draw to our attention and is worthy perhaps of a wider audience, click on the heading below for the full version. Despite the continuing call for abandonment of the expensive cull the Government persist in wholesale slaughter, in parallel as reported recently they also seek to consult on the reform of cost protection for Judicial Review applications by the public or environmental organisations and charities. The phrase ‘evidence-based’ seems to have lost favour when it comes to addressing inconvenient issues? The Government statistics available in Incidence of TB in cattle in Great Britain – statistical notice (data to June 2015) make interesting reading when considered against the revised costs of the cull (in excess of £16m or the equivalent of £6,775 per badger), one might ponder the value of the spend of public funds when there has been a demonstrable improvement in Wales through the adoption of an improved testing regime. If better bio-security and vaccination were added to the tool kit as well, then a collaborative address would deliver better for both the dairy farmer and their customers as well as poor ‘brock’, a convenient scape goat? Posted in Executive Secretary | Comments Off on Focus on the disease not ‘scape goats’? Erosion of opportunities to protect the environment? Costs Protection in Environmental Claims: Proposals to revise the costs capping for eligible environmental challenges. Following the earlier ‘consultatiuon’ Reform of Judicial Review by the Ministry of Justice in July 2015, the MoJ have launched the second review around the public’s opportunity to consider challenging any statutory agency or authority through the Judicial Reveiew process. Costs Protection in Environmental Claims: Proposals to revise the costs capping for eligible environmental challenges. We wonder how many readers have been involved in any JR application? From experience we would offer that for the lay person, or any small organisation who seeks to legitimately question a Public Body never mind ‘challenge’ it, it is not something one would undertake lightly. It is inordinately expensive if you use professional legal advice and anyone would be advised to, it is equally extremely time consuming to put together the ‘bundles’ required in which evidence is presented. It is perhaps different for Public Bodies as they are generally in receipt of public funds and have paid staff. So, that the Government now appears to seek to further close down an already arduous ‘assault course’ might be suggestive of a discriminatory approach? It would be difficult to offer it up as an inclusive, none discriminatory democratic option for legitimate question when all other avenues have been explored and failed? The duration of the consultation is from 17 September 2015 until 10 December 2015. Readers are also encouraged to read Carol Day’s excellent Guest Blog on the issue on Martin Harper’s RSPB web page. Posted in Executive Secretary | Comments Off on Erosion of opportunities to protect the environment? Charity membership may bring more than you bargained for? might understandably have conservation campaigners a ‘tad’ concerned? The Government have recently undertaken a consultation: Reform of Judicial Review. Proposals for the provision and use of financial information. The Ministerial Foreword in the aforementioned document makes fascinating reading, particularly if you ponder on the people in power who abused that power and continued to and what was done about it when it was made public? So, we might be forgiven for wondering about ‘protection’? Spectating from the sidelines of politics I struggle to think of many reviews resulting in revised ‘protection’ which have delivered Public Benefit, the hedgerow regulations were preceeeded by miles of hedgerows being grubbed out, change in rules for agri-welfare subsidies saw ancient grasslands ploughed up. Some ROMPPs to safeguard Natura 2000 sites are still to be completed here in the Humberhead Levels, Nero & Rome? The Rt Honorable Michael Gove in his capacity as Lord Chancellor and Secretary of State for Justice explained that he would defend, above all else, the rule of law. Gove explains that without the rule of law power can be abused. He continues that JR is an essential foundation of the rule of law. Anyone who has been involved in compiling and submitting documents to the JR process will know how hard it is never mind inordinately expensive. Charities in the main, or at least those I have either been involved with or observed from the sidelines who have applied for JR because all else had failed and significantly with great reluctance (not least on cost grounds) it had been undertaken in the Public Interest and not for pecuniary or private benefit or interest. 28 organisations are named as having been sent copies, but para. 8 on page 5 assures the reader that the list is not exhaustive or exclusive …. So, the consultation has now closed. Respondents to the Minister’s sixteen questions set in four sections are asked to provide reasons for a positive or negative response, so thereby encouraged to provide evidence to support any submission. Thirty three pages of carefully crafted narrative, we await deliberations …. In the interim, the next post will feature an equally worrying update on this same issue …. Posted in Executive Secretary | Comments Off on Charity membership may bring more than you bargained for? 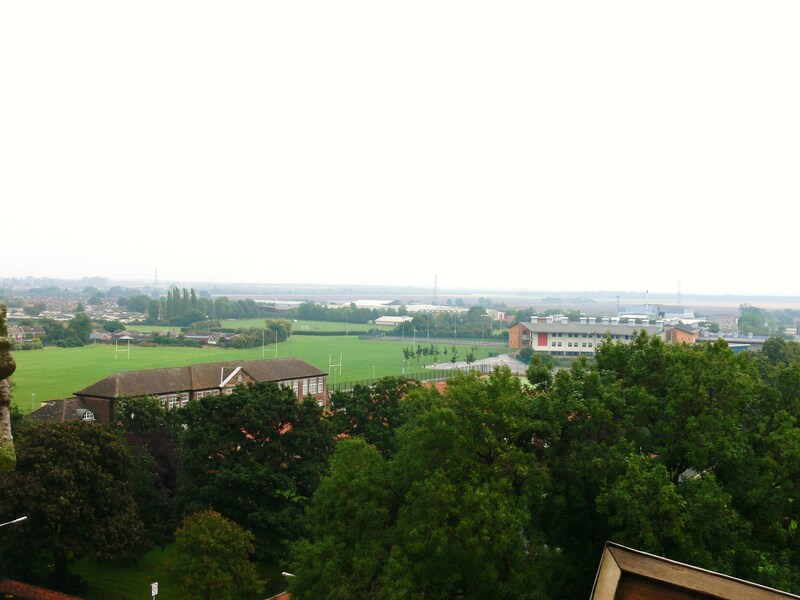 Shame about the weather for Heritage Day 2015 at the weekend, the views from St Nicholas’s Tower were fantastic but the visibility was not what it might have been. Despite the trek up a 37 step spiral stair and careful manoeuvre onto the roof it was worth the effort. Had the weather been more obliging then all points of the compass would have offered a greater selection of local landmarks on the distant skyline. Looking north towards Thorne Moors. 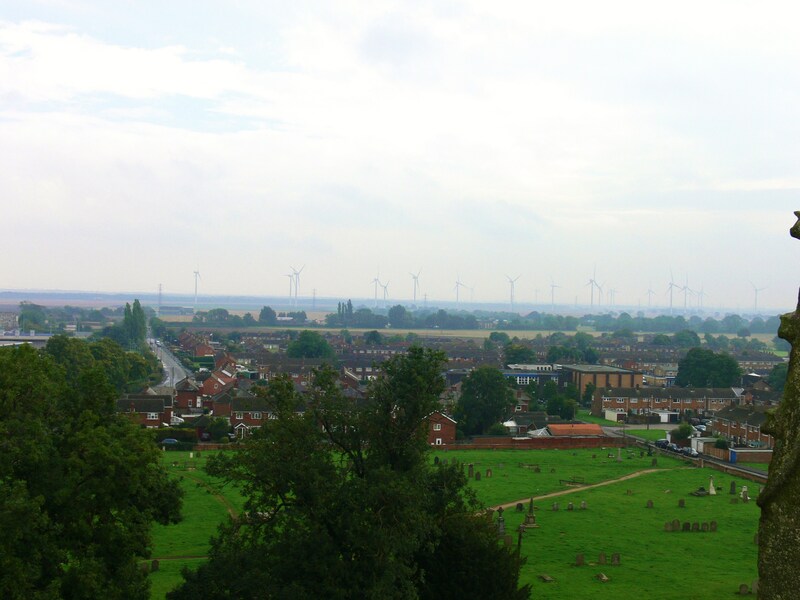 The vast expanse of Thorne Moors was easy enough to see from the elevated vantage point, with the wind turbines of Tween Bridge along the edge of its boundary. Towering structures with their foundations contained within hundreds of thousands of tons of concrete breaching the hydrological unit which extends beyond the visible peat and under the agricultural warp land towards the town itself. The carbon emissions created from cement manufacture do not have to feature in the calculations which provide the carbon emission budget. Little wonder these industrial structures can be promoted as clean energy efficient options? Although as far as transparent accounting goes rather like not having to factor fuel costs in the running of a car? Old and new educational establishments with the formative playing fields a once common sight and a feature of most school grounds. St Nicholas is a Grade 1 listed building with an interesting history. The wall along Church Balk features various mortar loving plant species including Hart’s-tongue Fern and Wall Rue. Posted in Executive Secretary | Comments Off on Towering perspective? Should the BBC sack Chris Packham? There has been a call by the Countryside Alliance for the BBC to sack Chris Packham. The epetition set up by Andy Richardson three days ago is currently running at 2,449 signatures. The BBC are petitioned “BBC please sack Chris Packham he’s anti shooting and not an impartial presenter thus misinforming viewers”. We didn’t realise that he was a BBC employee, rather he was ocassionally contracted to appear as a presenter in various series, Springwatch for example? Even the Guardian describes Packham as a ‘treasure’. The Telegraph on the other hand offer up the views of Tim Bonner, the CEO of the CA but only a very short paragraph (two sentences) from the BBC Wildlife magazine defending their editorial policy as well as Packham, balanced journalism? There are other far better opinions expressed about the CA and their attack on one of the country’s most popular naturalists/conservationists/presenters. Standing up for nature, a new nature blog are a couple of examples. In the interim, perhaps readers might like to consider signing the epetition NOT to sack Chris Packham. At the time of posting this epetition set up two days ago is running at 54,471 signatures & multiplying by the second …. If this epetition had been set up on the government epetition website & reached a 100,000 signatures in six months then the issue would be discussed in parliament! Perhaps Change.org author should circulate details of the Ban driven grouse shooting epetition (currently running at 16,043 signatories) along with an explanation to the ‘keep Packham’ signatories and then the impact of ‘sport’ on upland peat moors would reach potential sympathisers and signatories for Ban driven grouse shooting? In the meantime the ‘Indian Summer’ continues to provide interesting observations as the wildlife enjoys the warmth of the late sun. 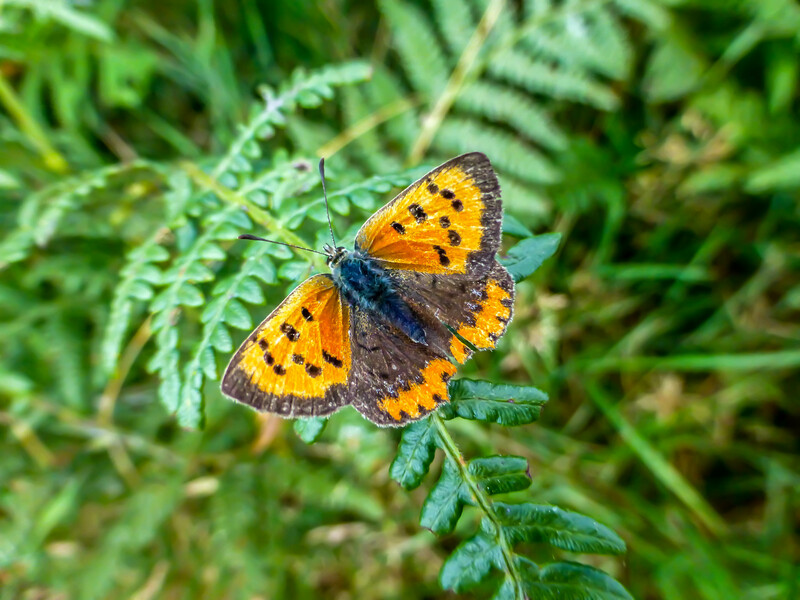 Small Copper are still active on Thorne Moors along with adders still to be found taking advantage of the warm weather. Images: Martin Warne. 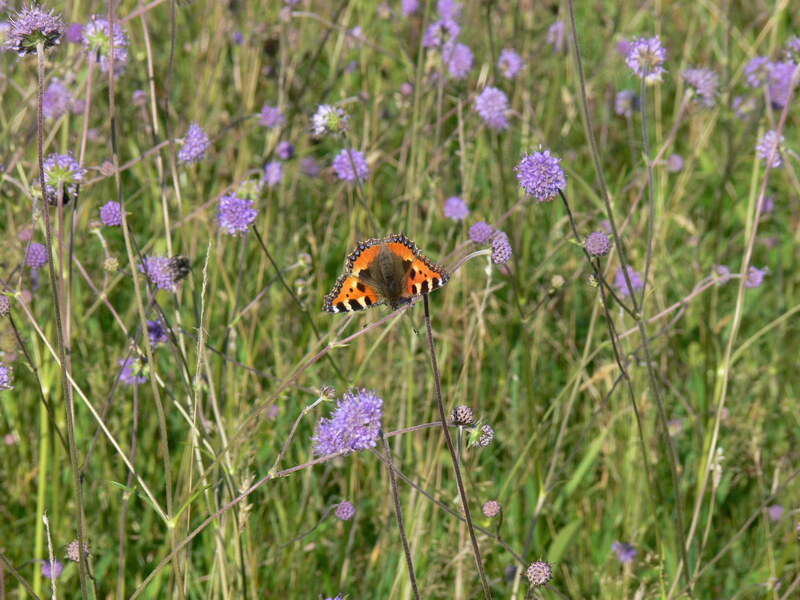 Swathes of Field Scabious amidst ridge and furrow of an old haymeadow, look beyond the Small Tortoiseshell for the miriad of bee species. 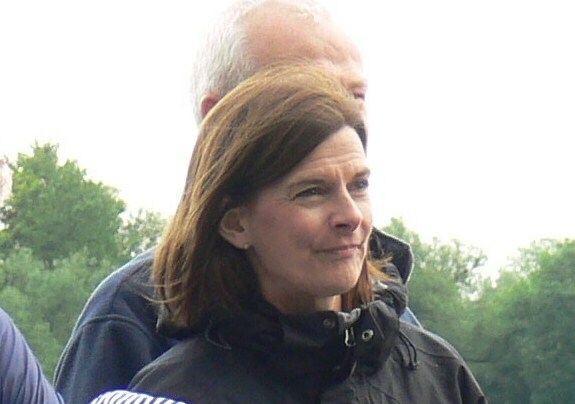 Image: Helen Kirk. Posted in Executive Secretary | Comments Off on Should the BBC sack Chris Packham?